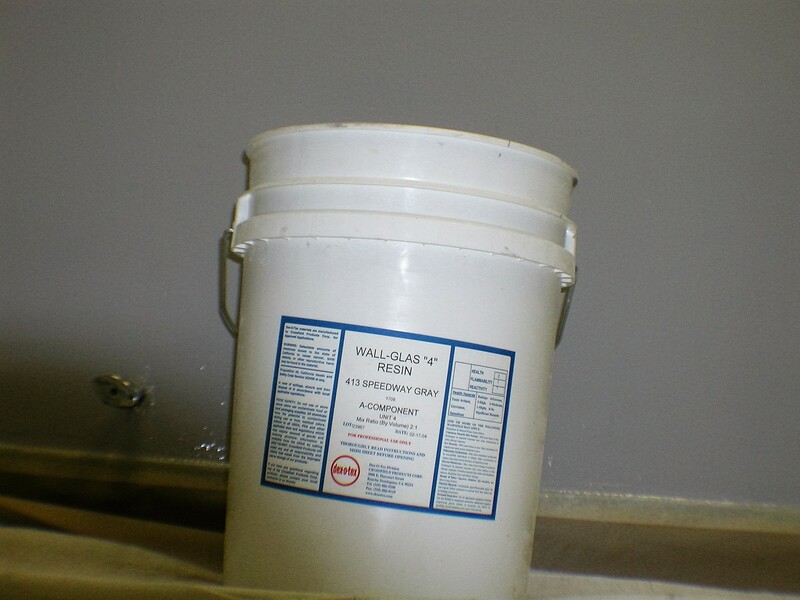 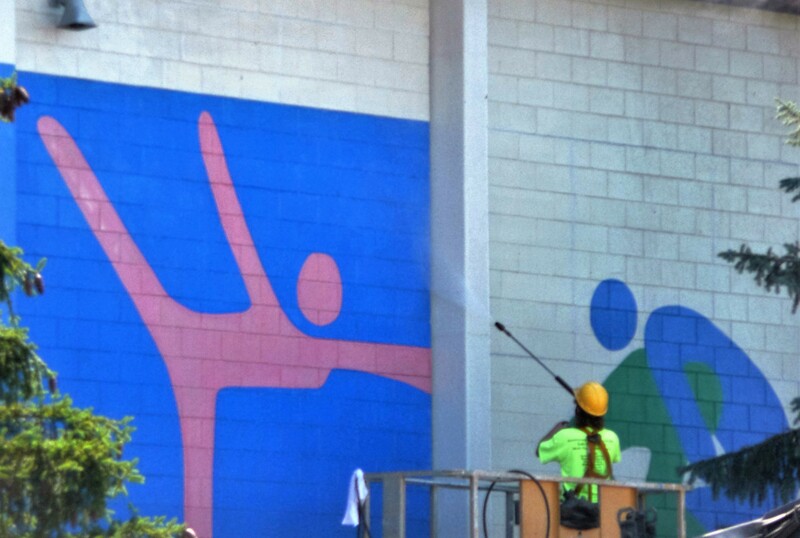 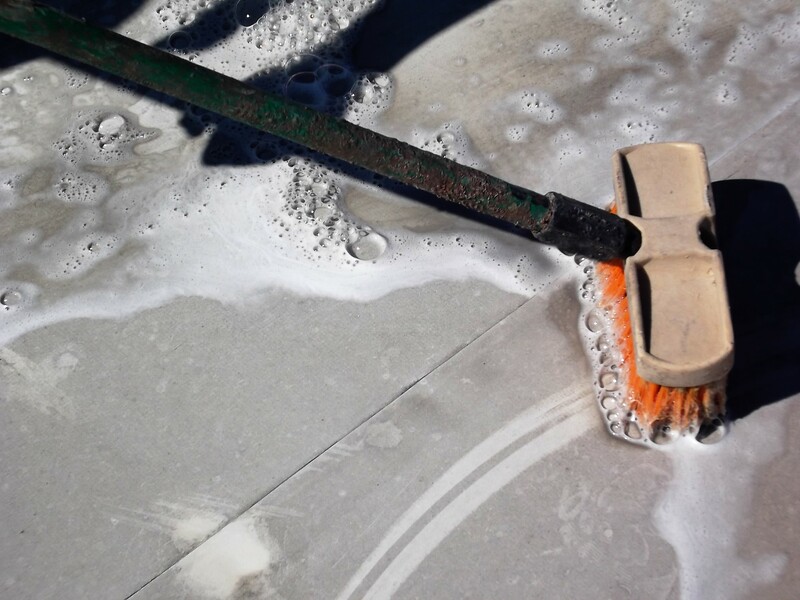 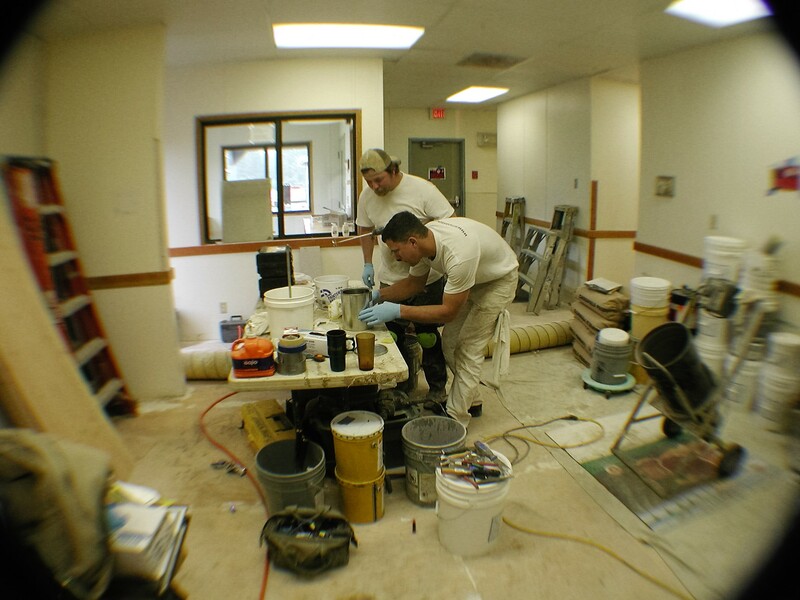 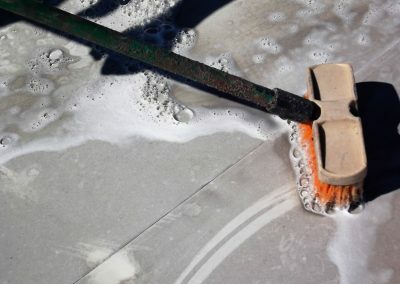 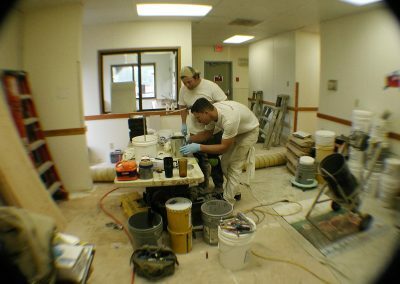 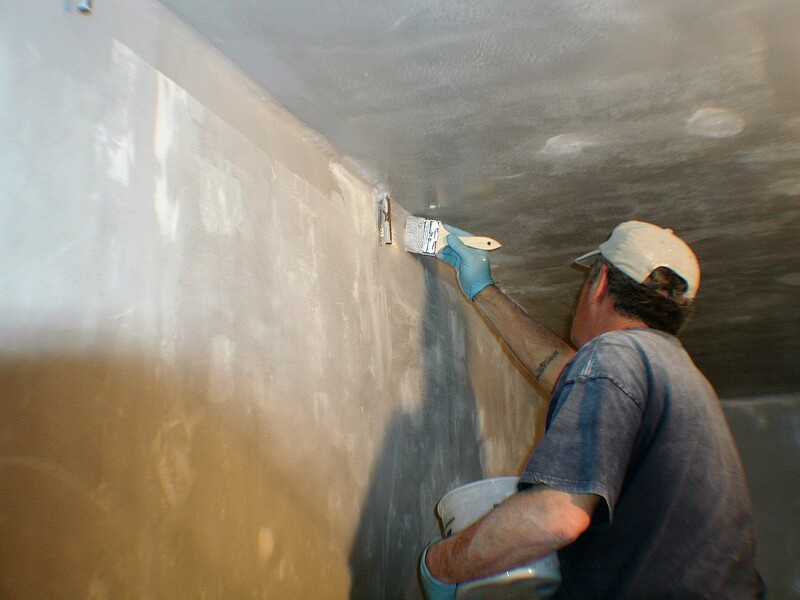 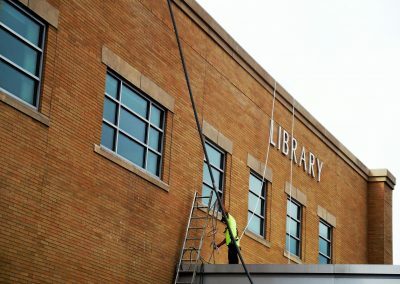 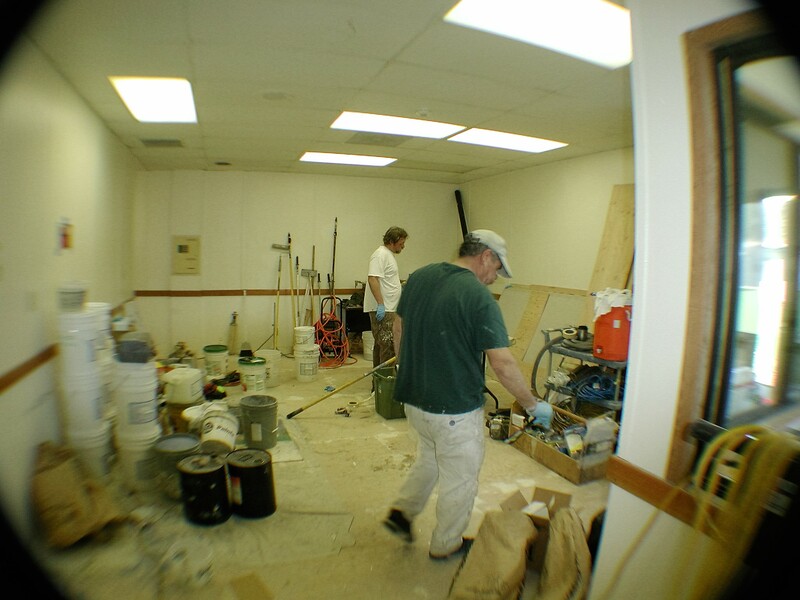 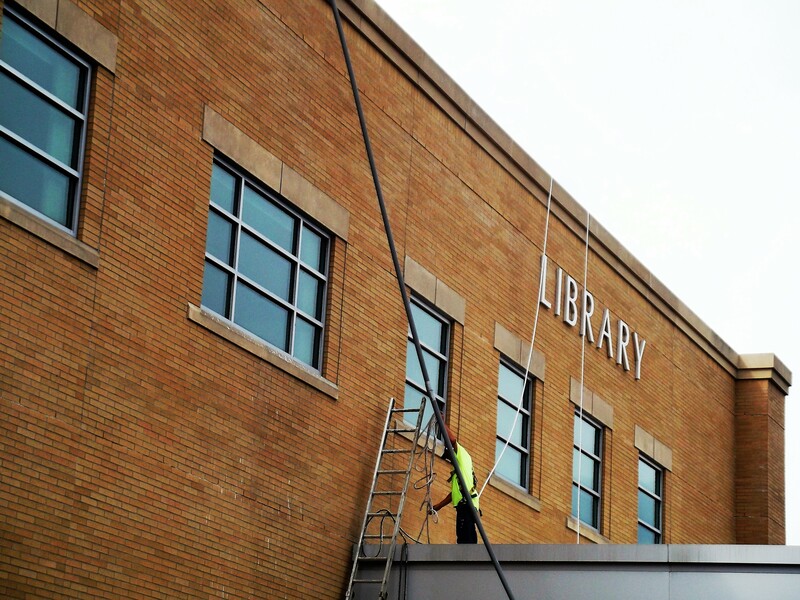 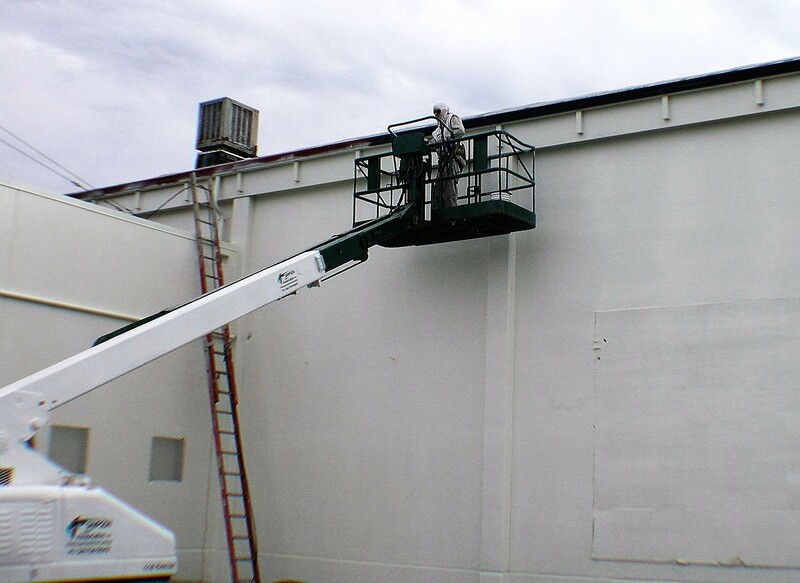 Pre-cleaning & Painting Facility Interior & Exterior Surfaces. 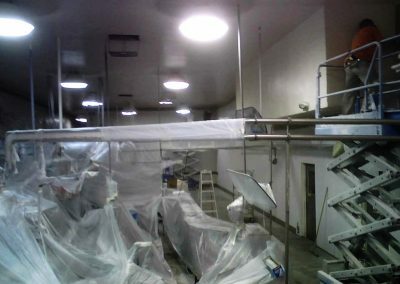 This project included interacting with the Food Production Facility Safety Director and Engineering Dept to achieve two goals. 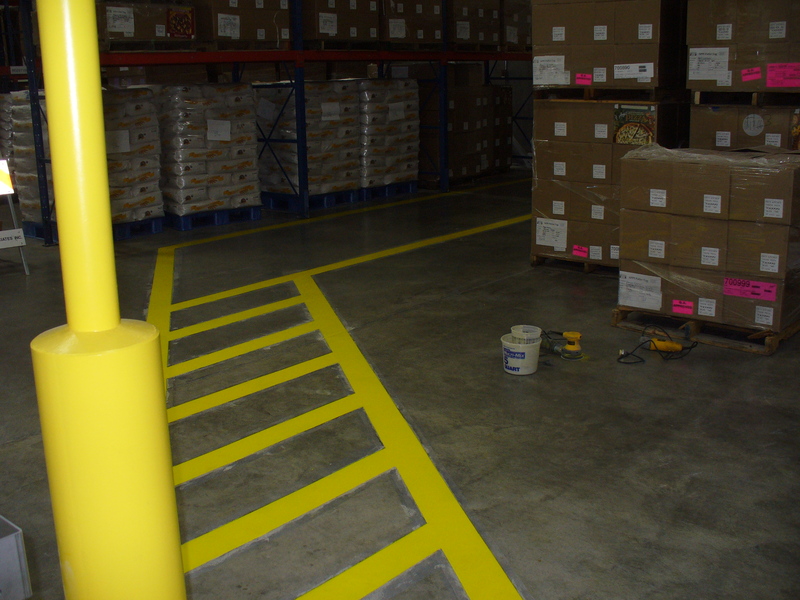 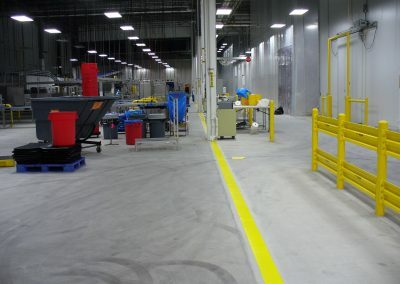 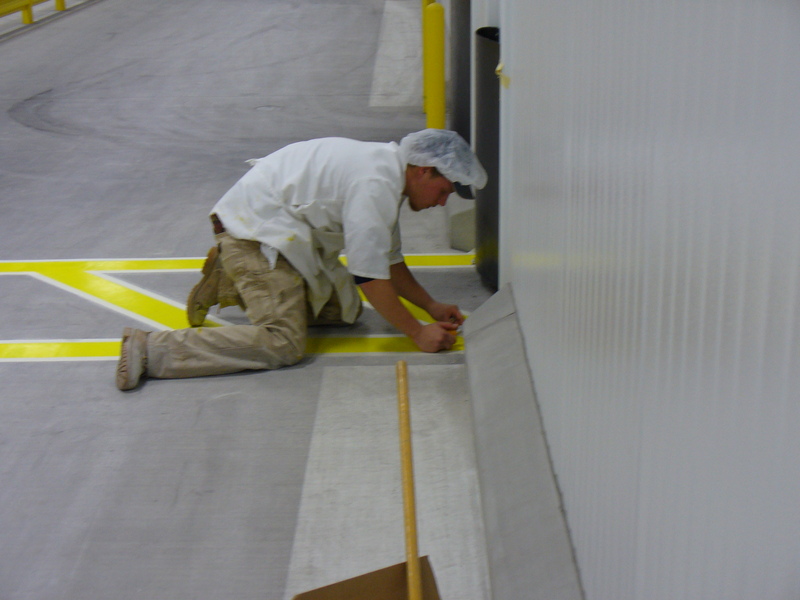 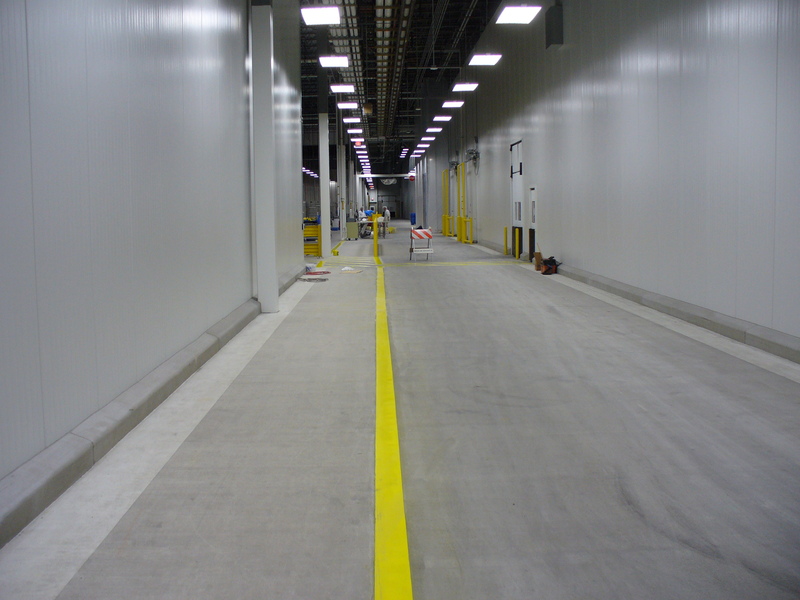 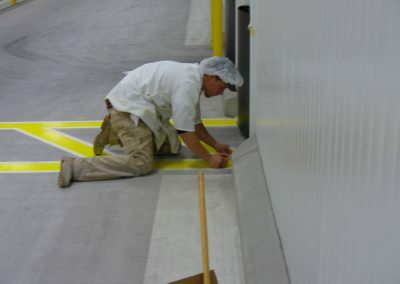 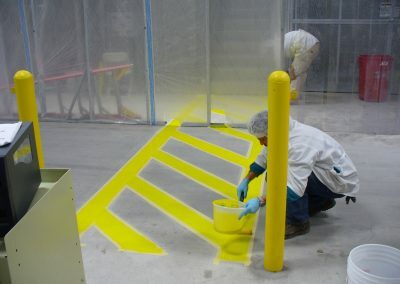 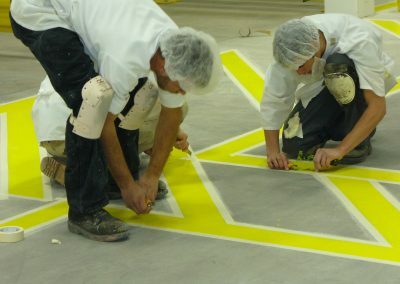 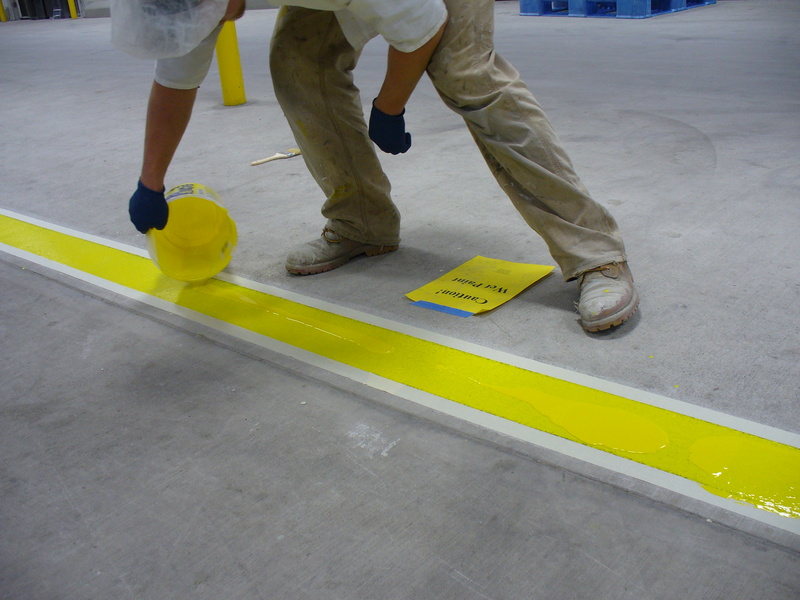 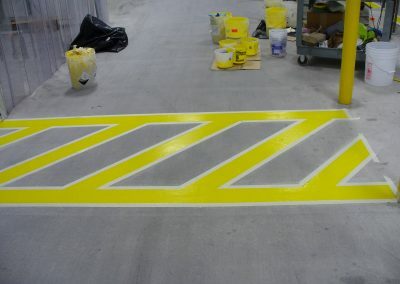 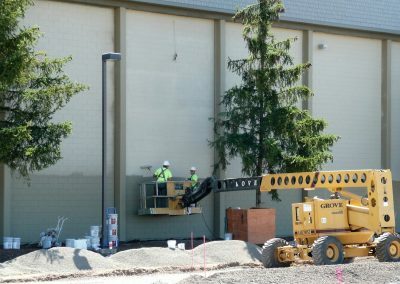 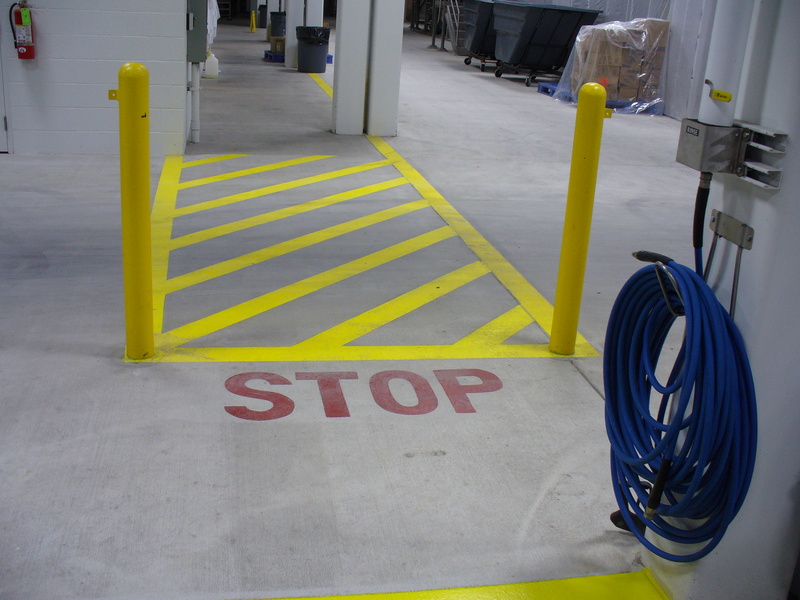 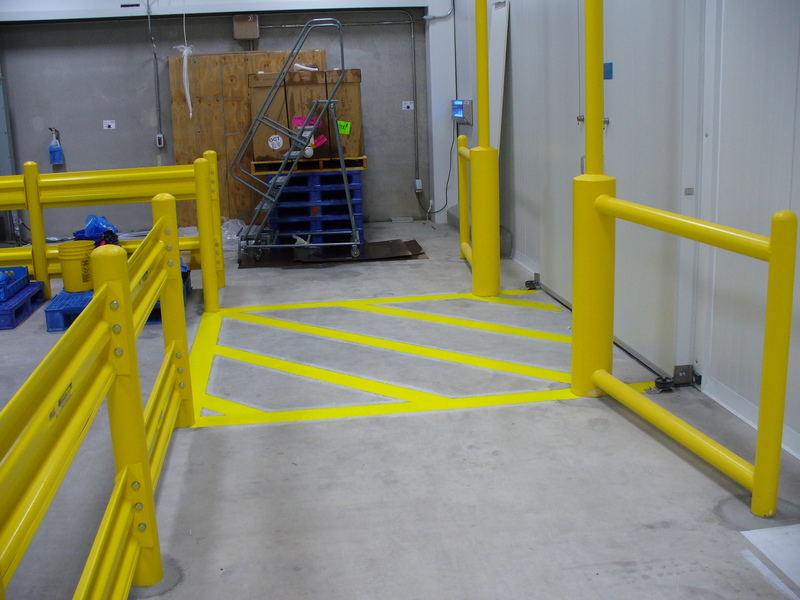 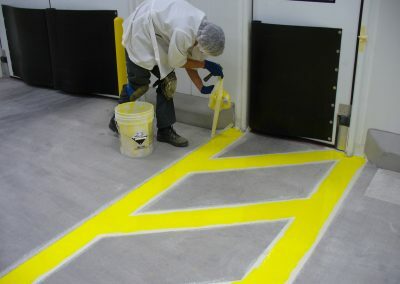 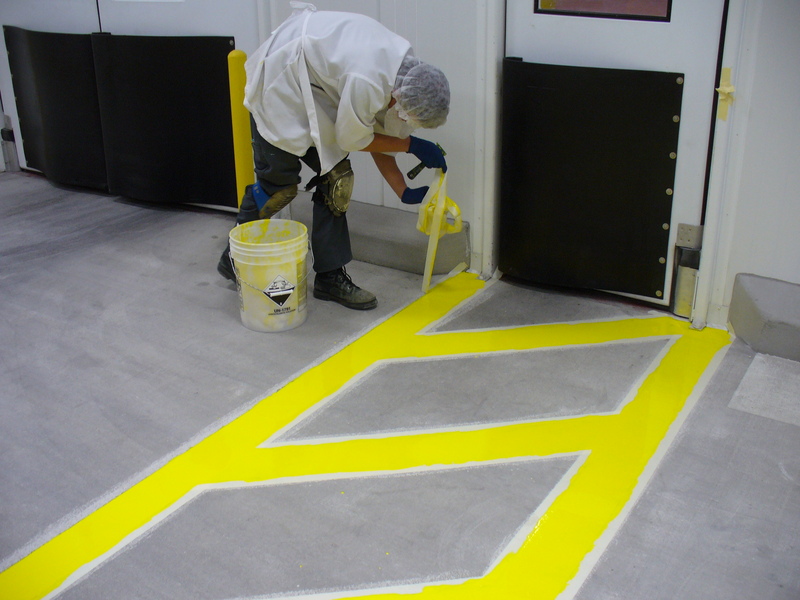 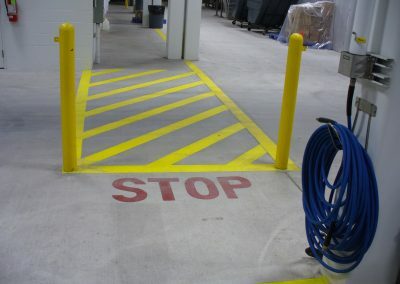 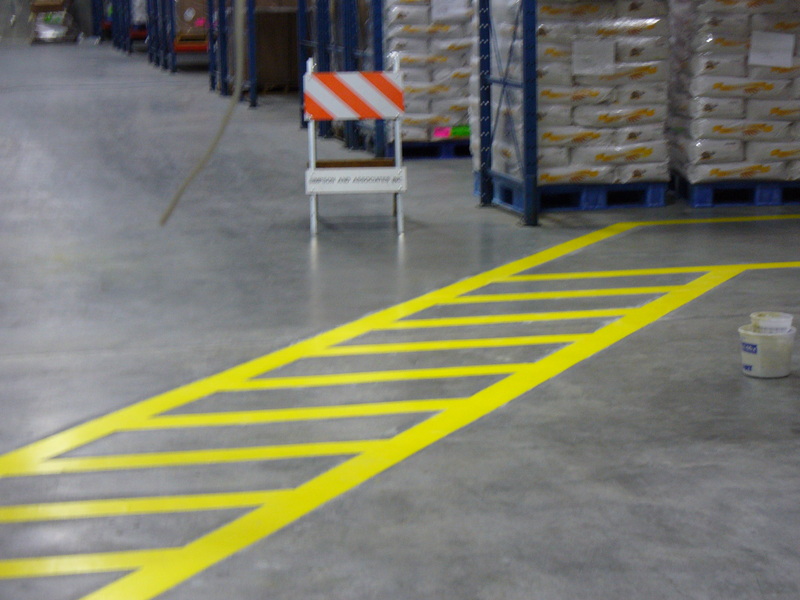 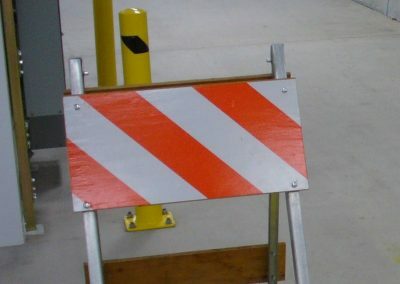 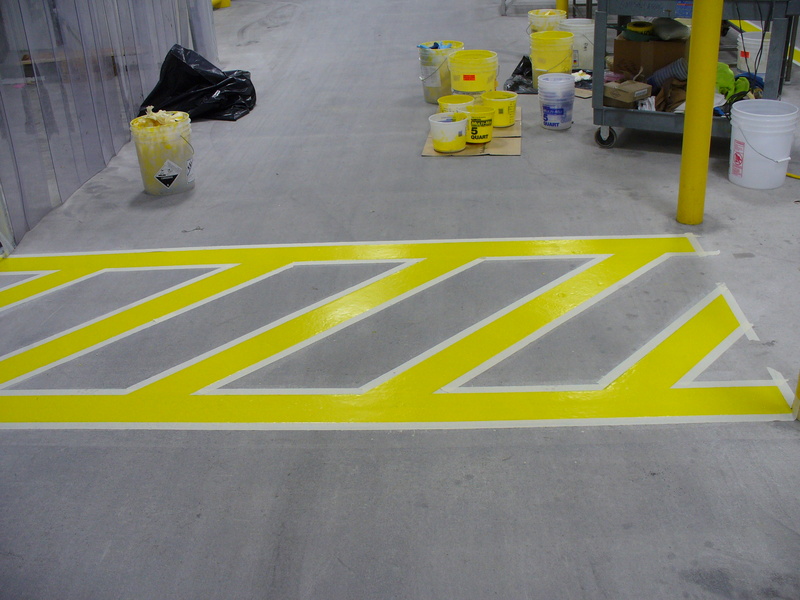 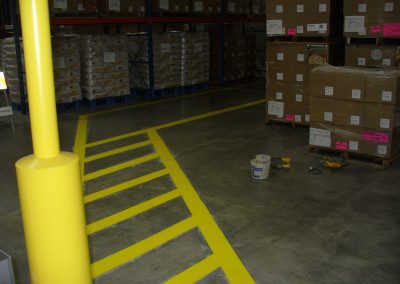 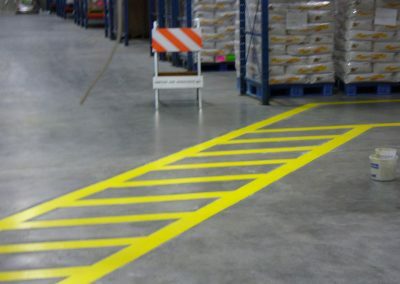 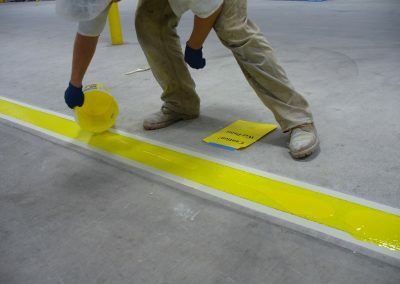 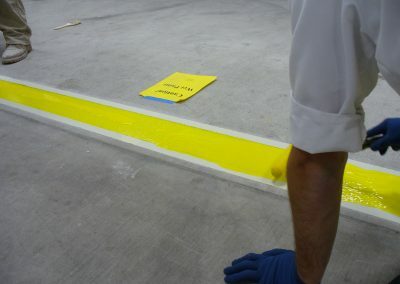 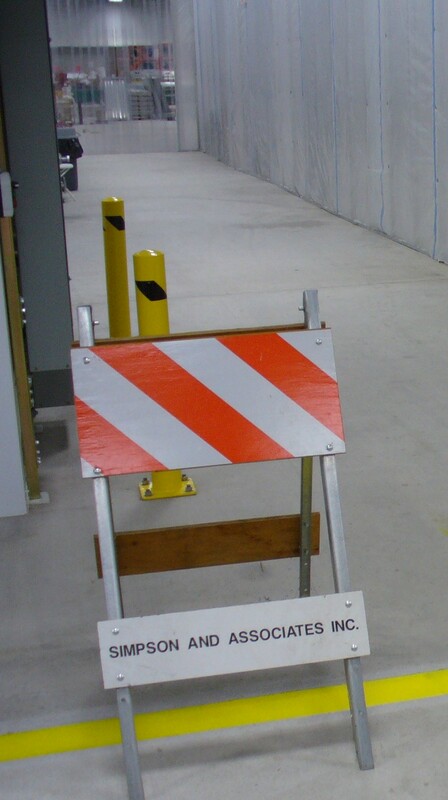 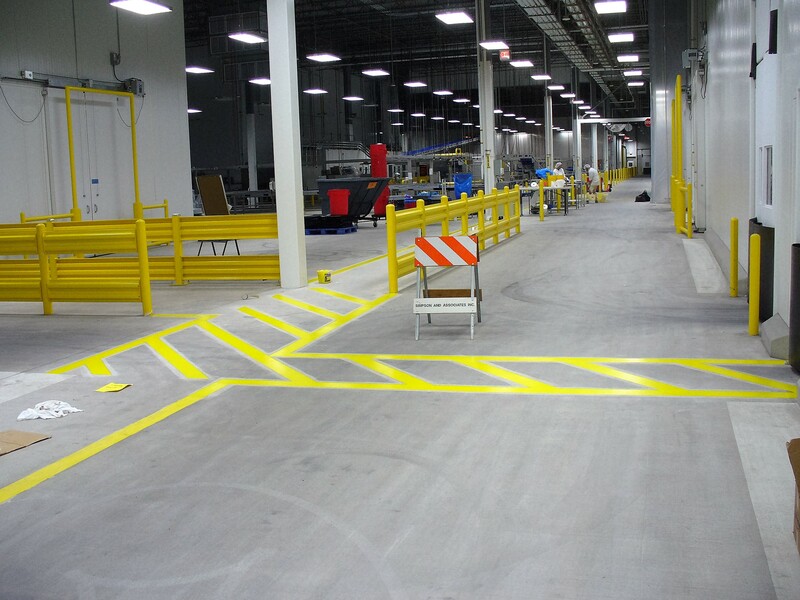 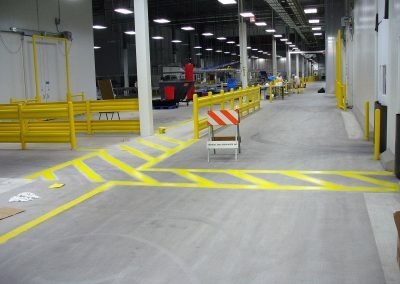 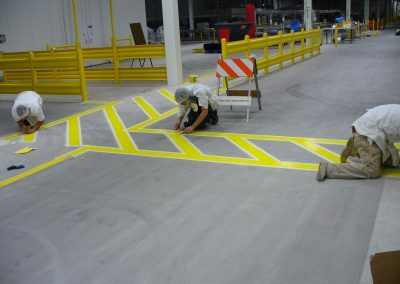 First, The high visibility traffic markings needed to be installed to protect employees from extensive forklift movement throughout the production areas. 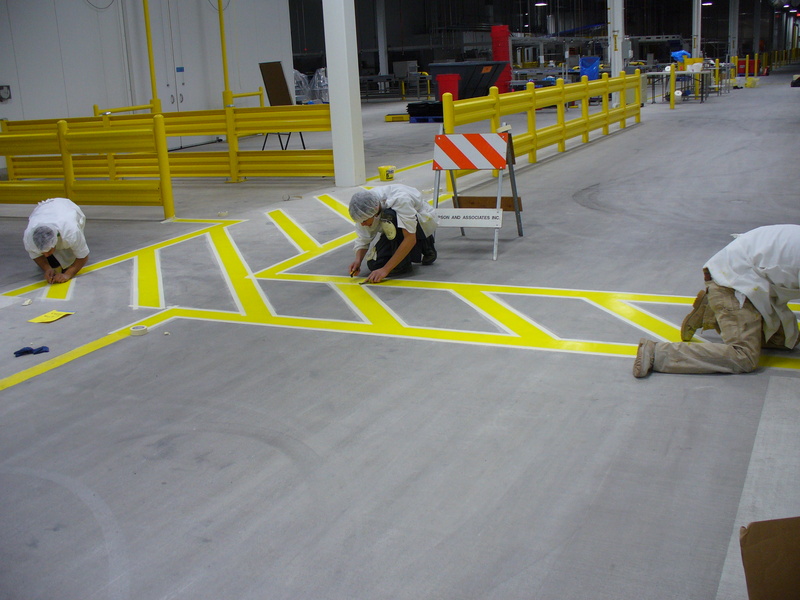 Secondly, the product applied needed to be a rapid cure to avoid downtime and also very durable to avoid repetitious recoating. 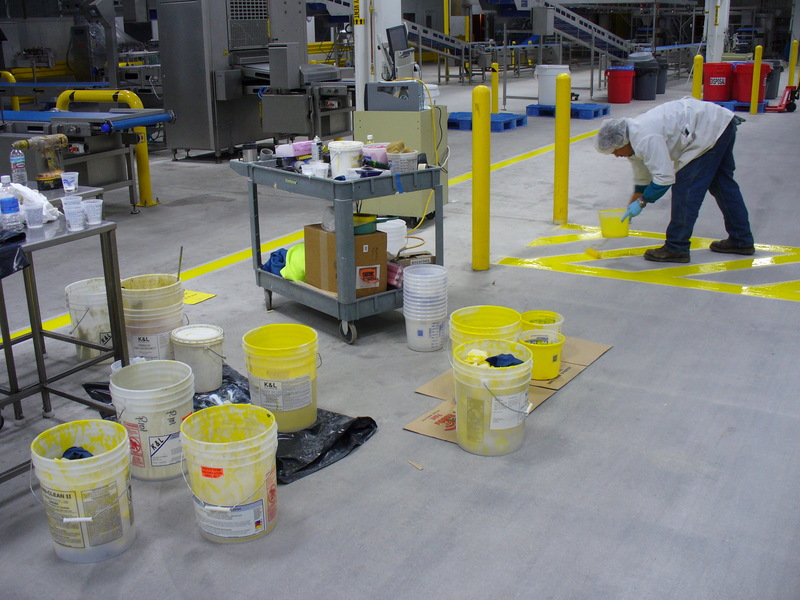 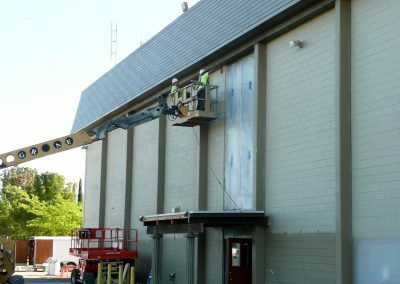 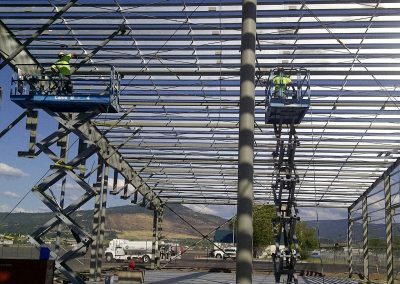 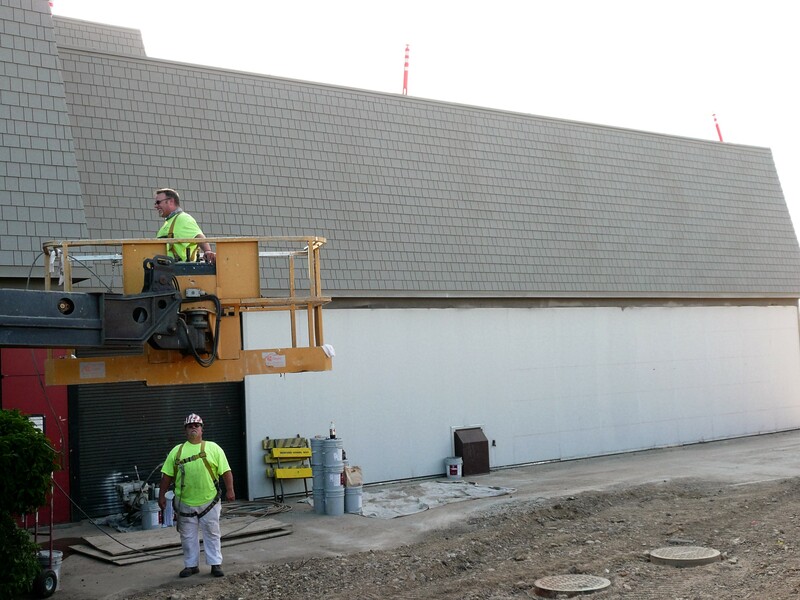 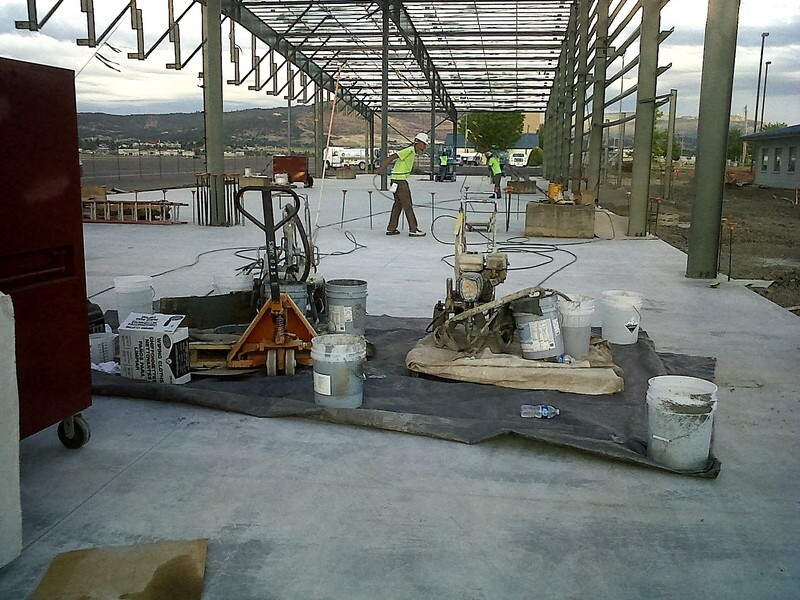 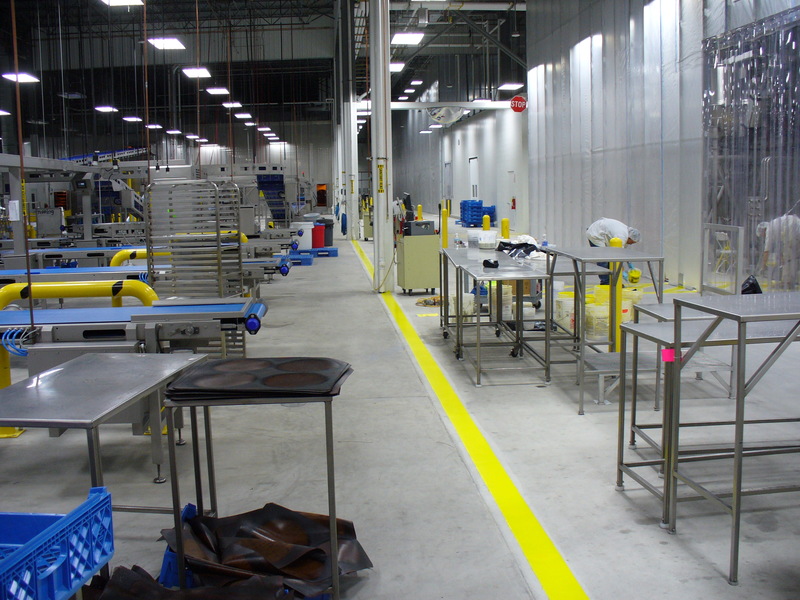 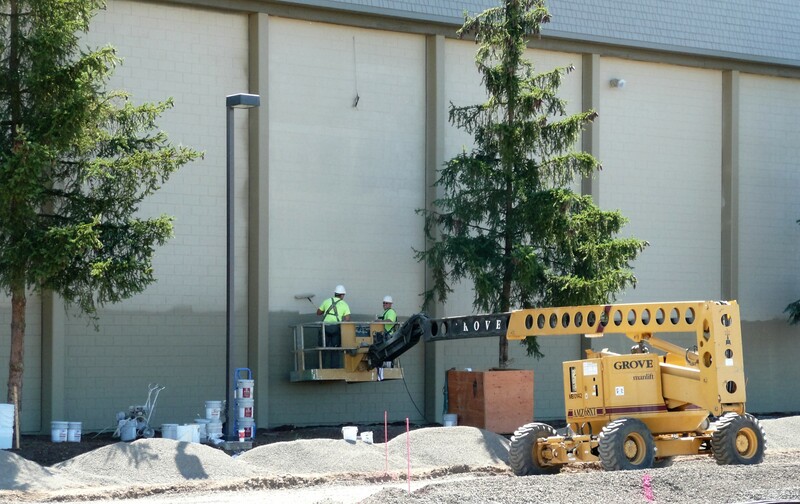 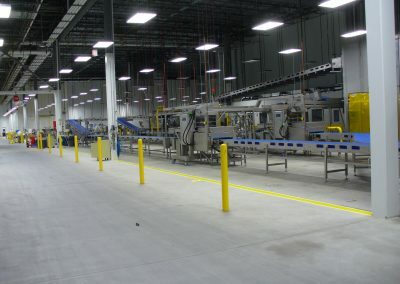 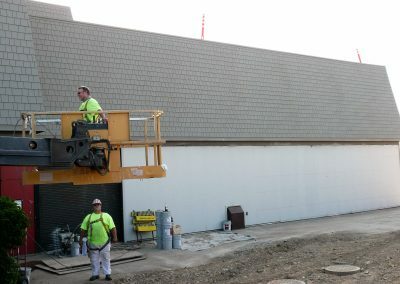 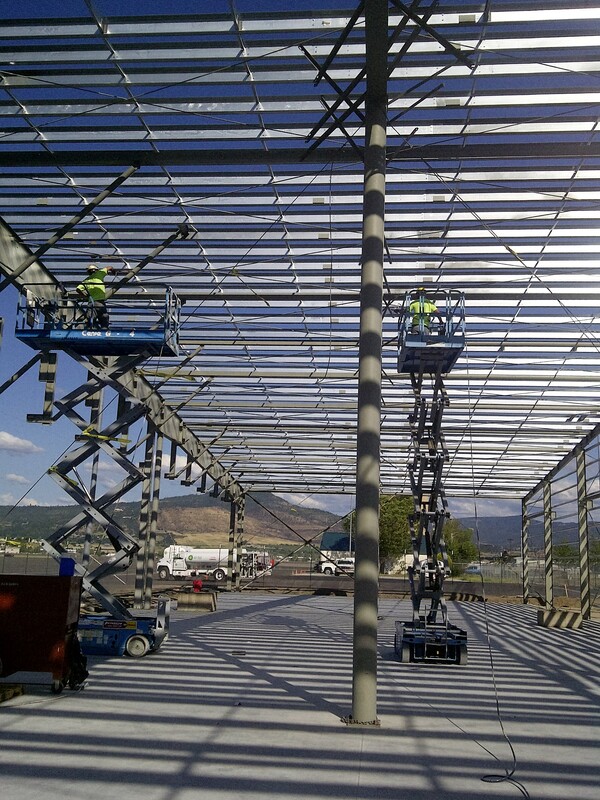 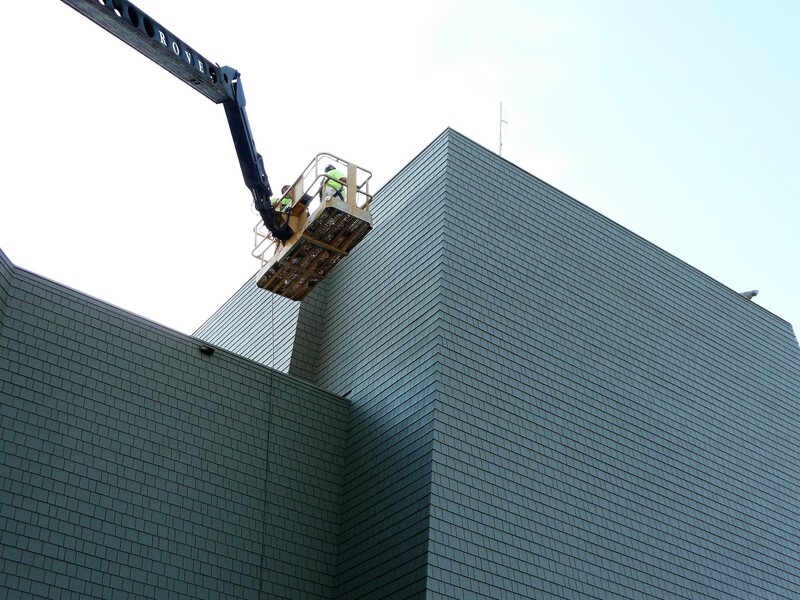 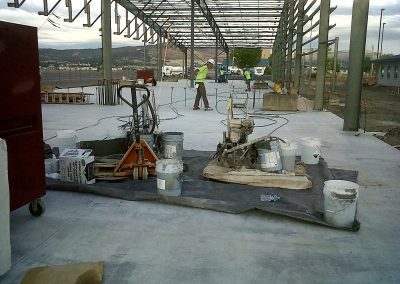 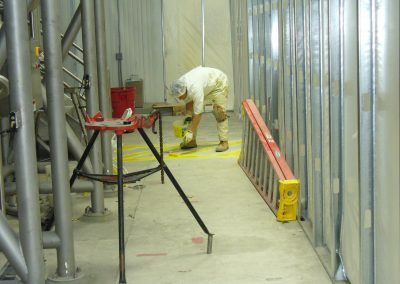 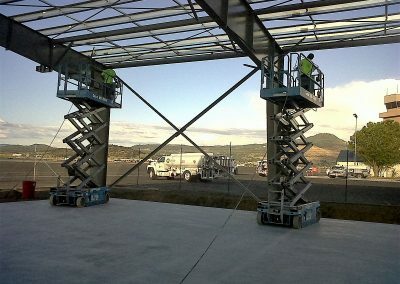 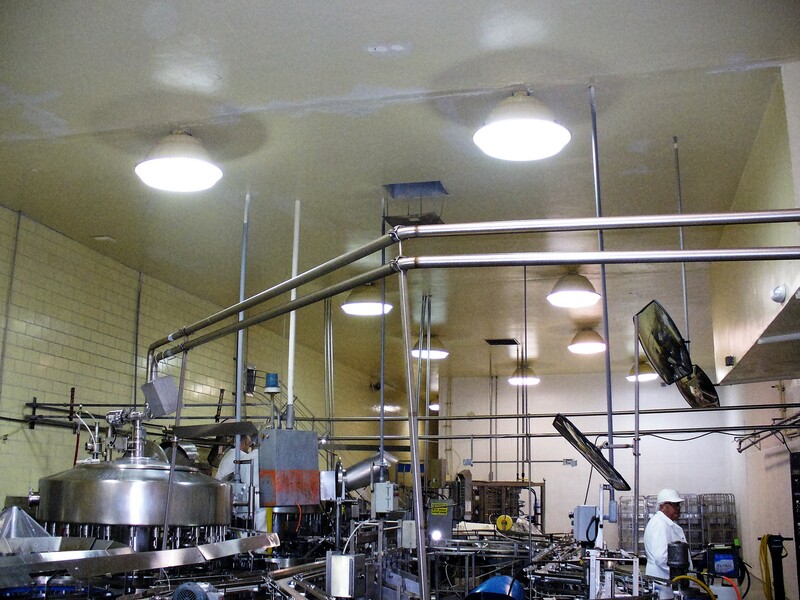 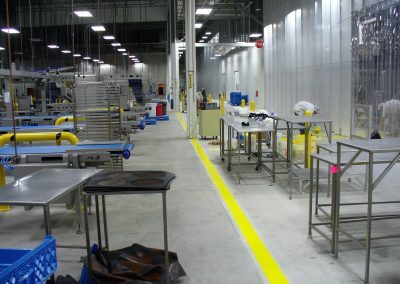 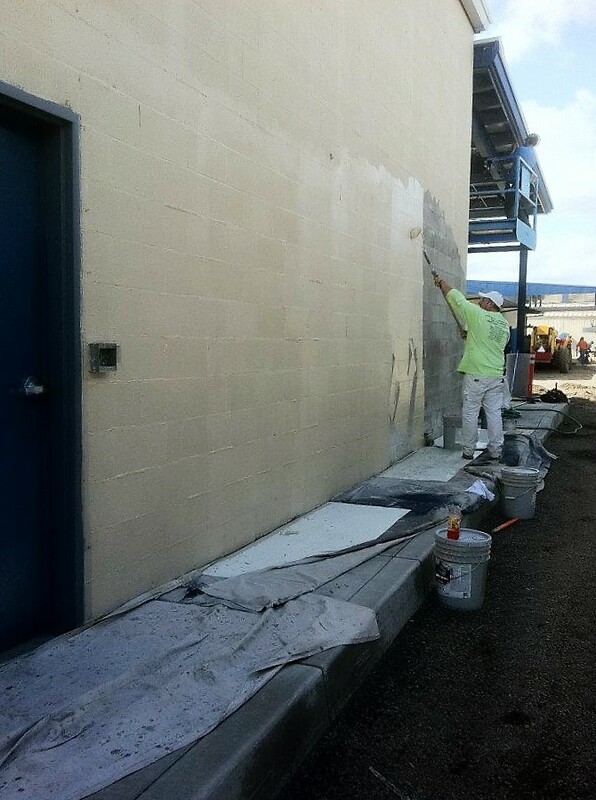 Contractor – Owner Direct This project involved painting the exterior of the plant while in full production. 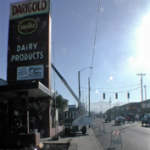 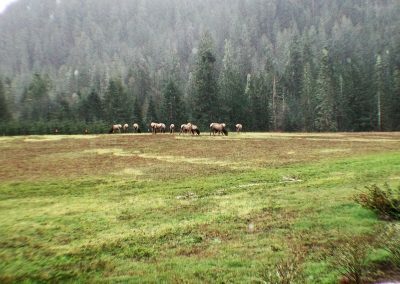 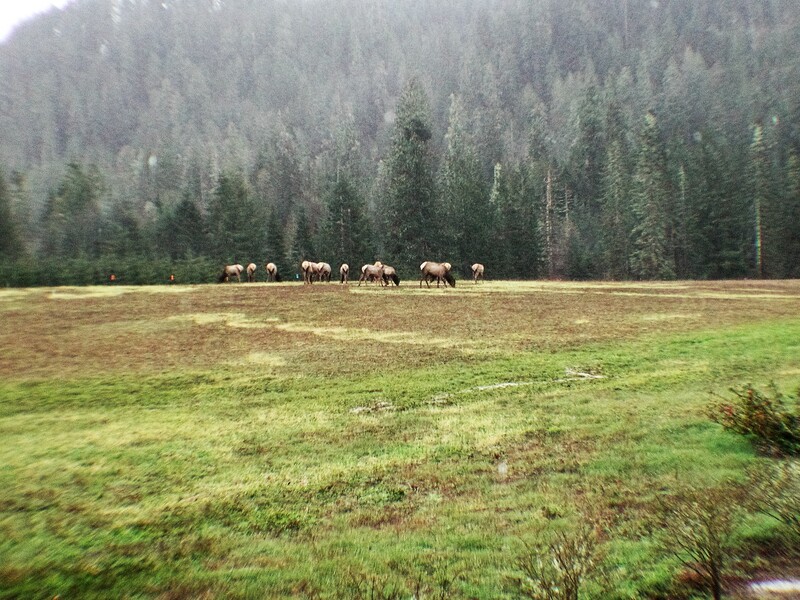 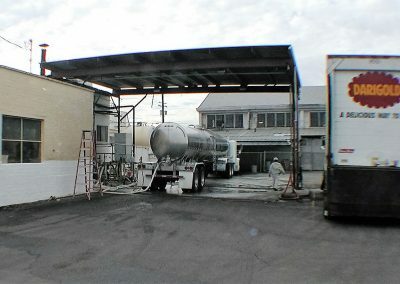 This involved safety and space planning for men and equipment as milk tankers were coming and going around the clock. 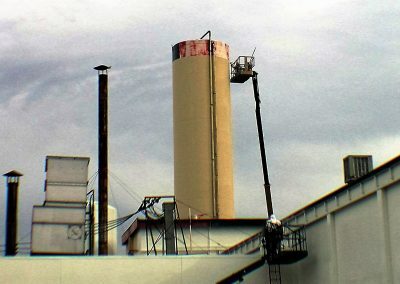 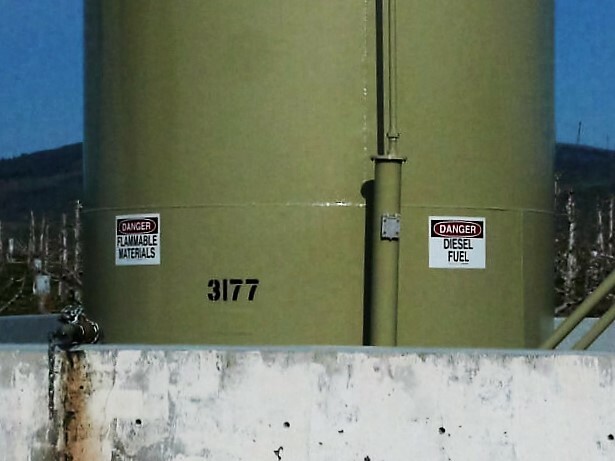 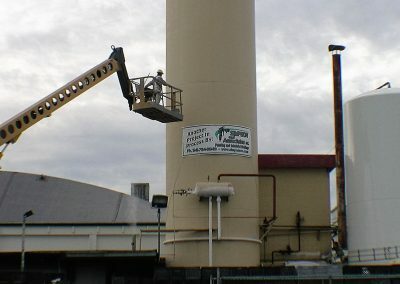 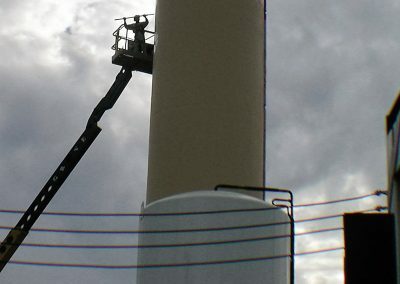 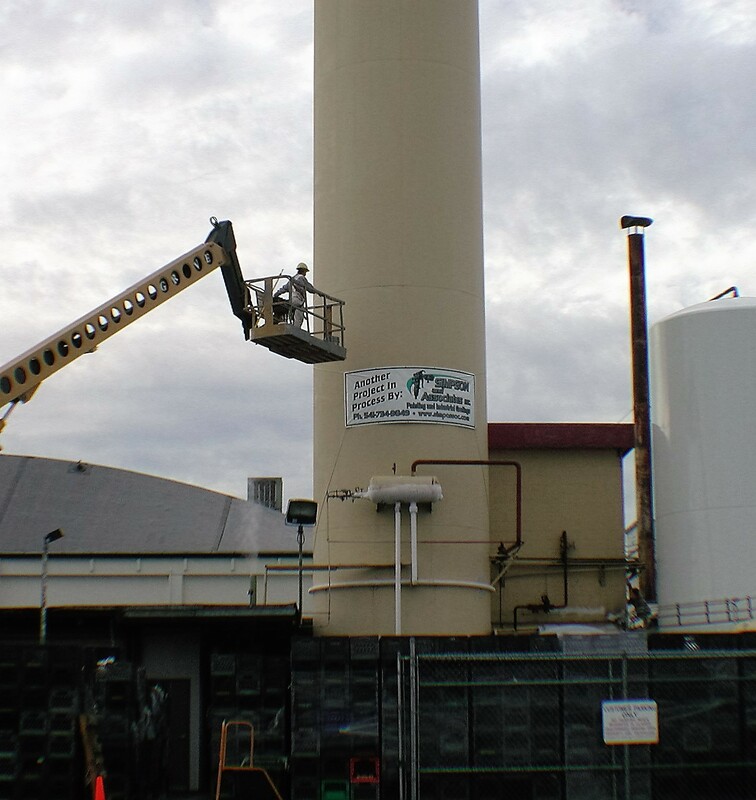 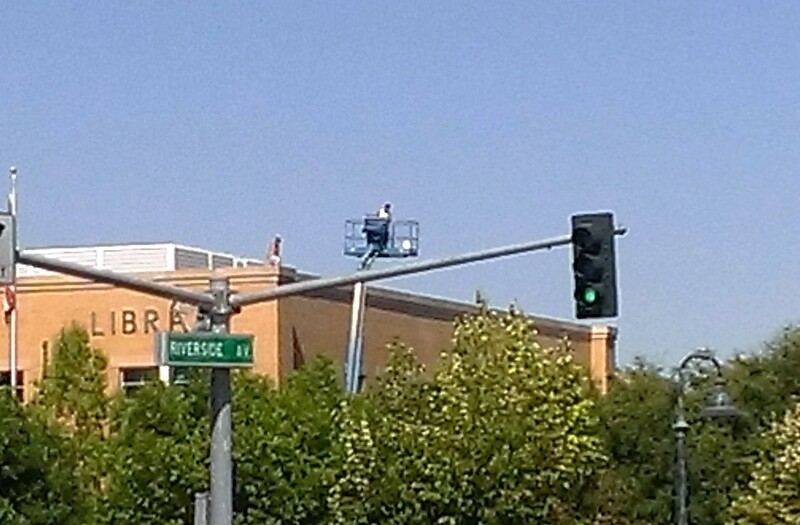 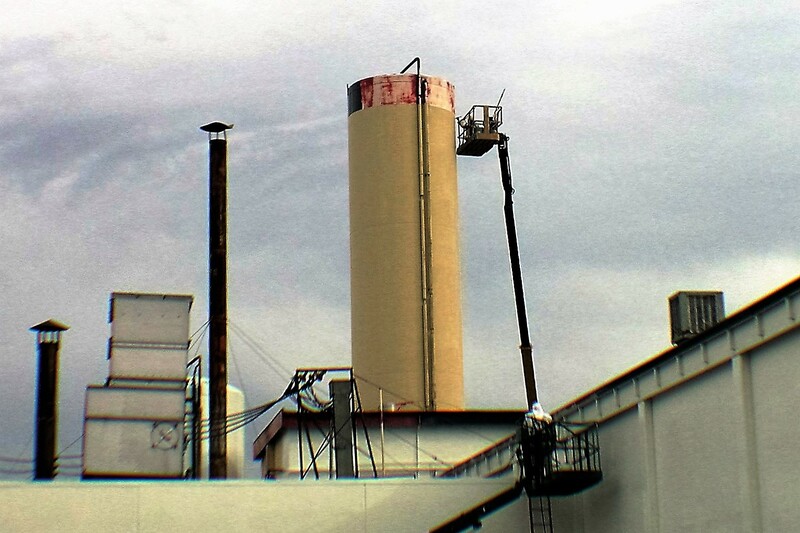 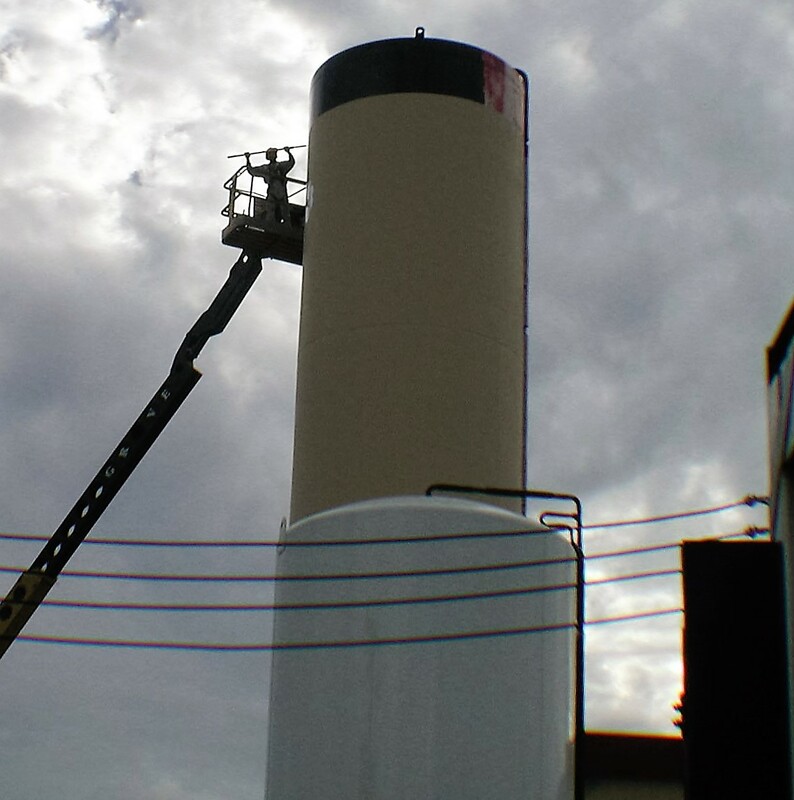 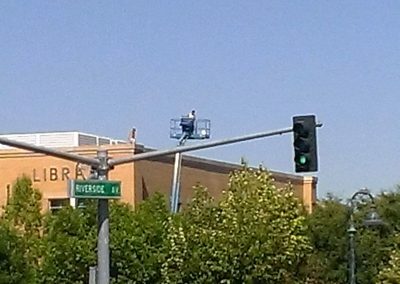 Crews took the opportunity to hang an advertising banner on a tall tank stack while we were on site. 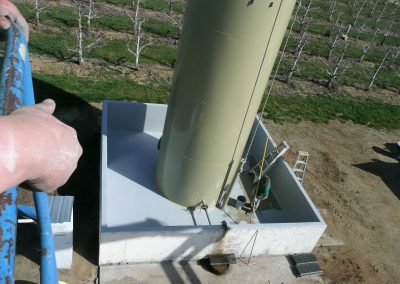 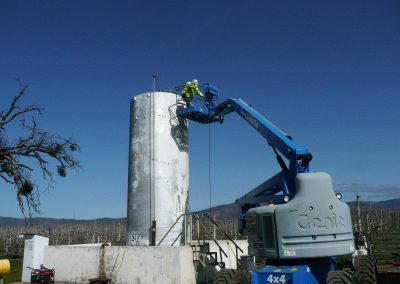 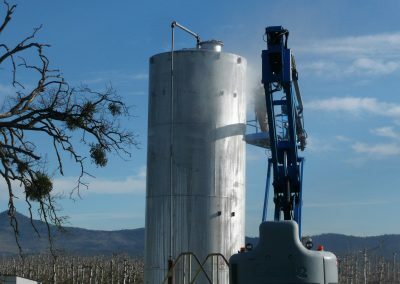 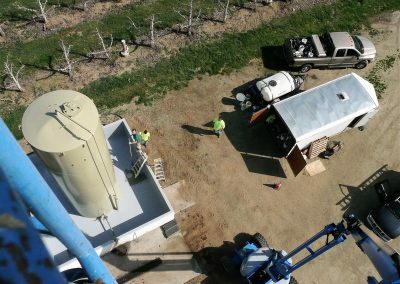 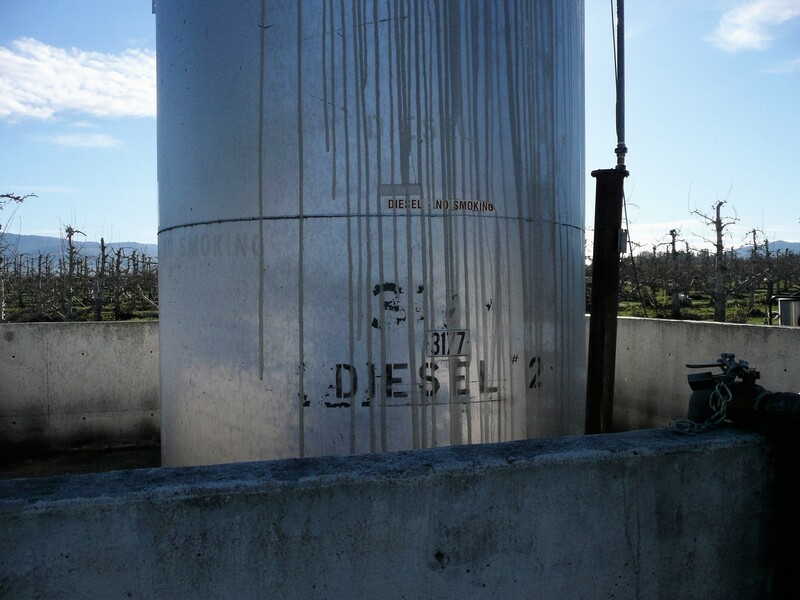 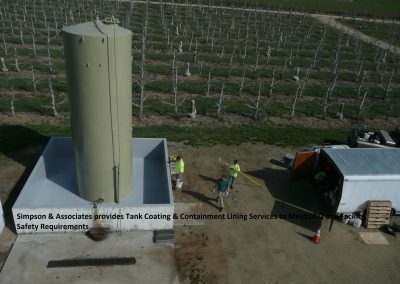 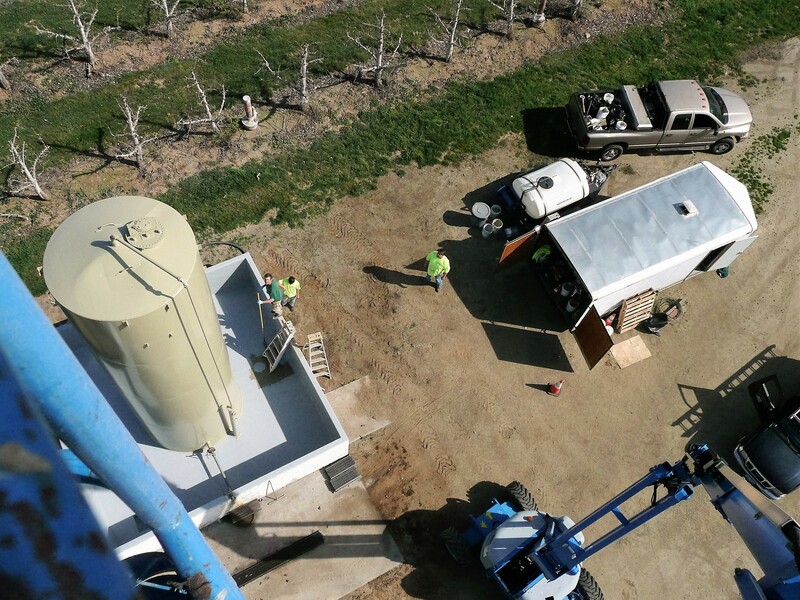 This project involved a diesel fuel containment solution to EPA evolving regulations regarding recently signed June 10, 2014 (WRRDA) Water Resources and Development Act and the related (SSPC Program) Oil Spill Prevention, Control, and Countermeasures for large-scale agriculture operations. 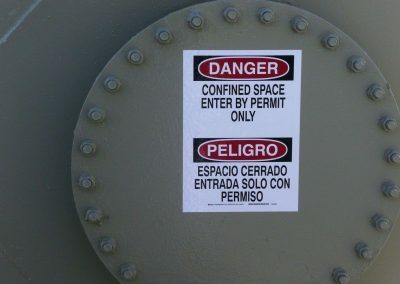 Learn More? 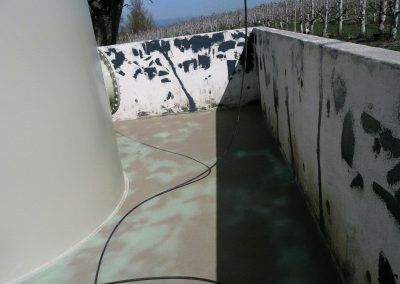 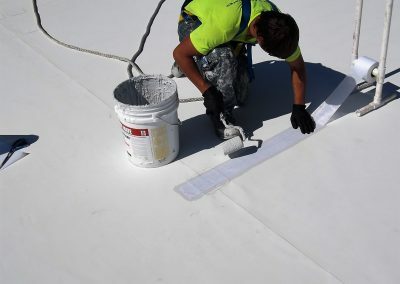 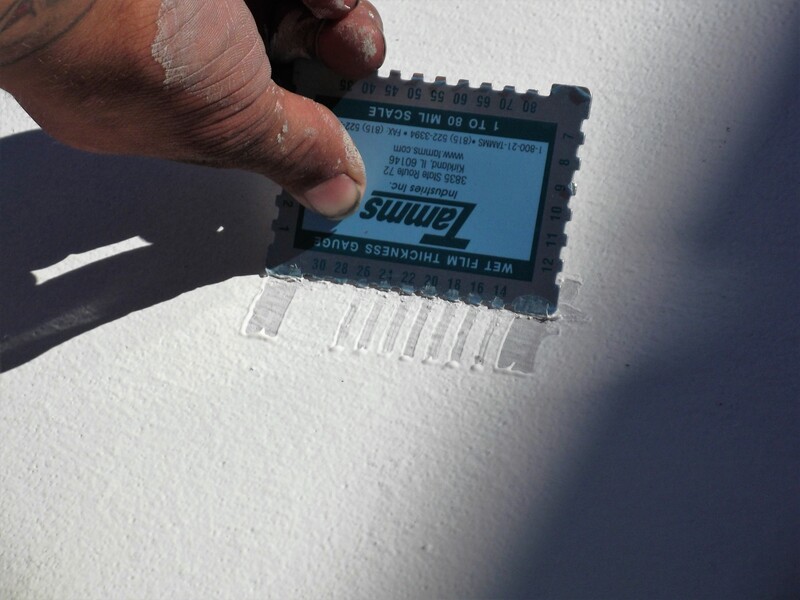 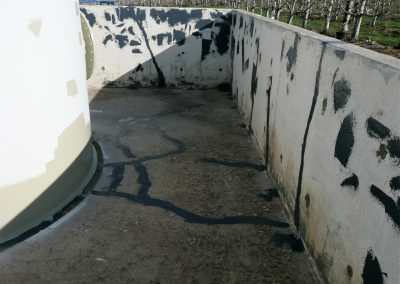 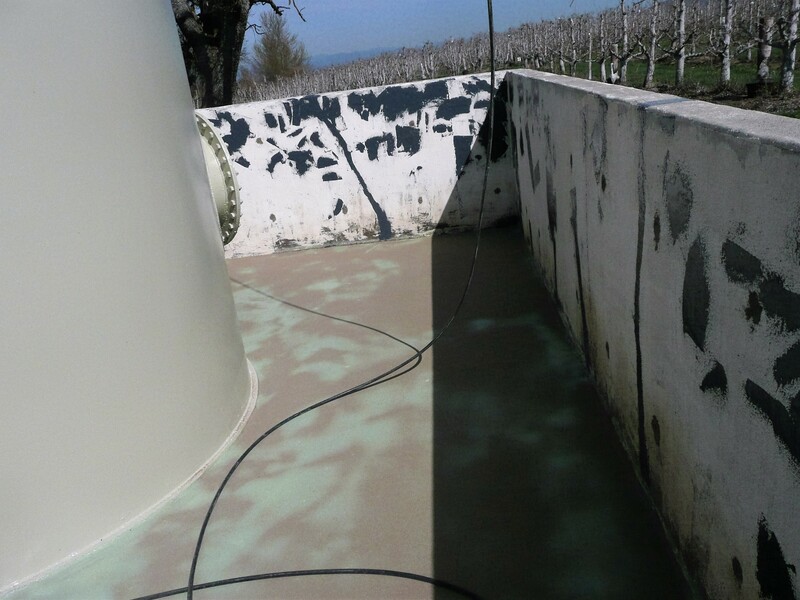 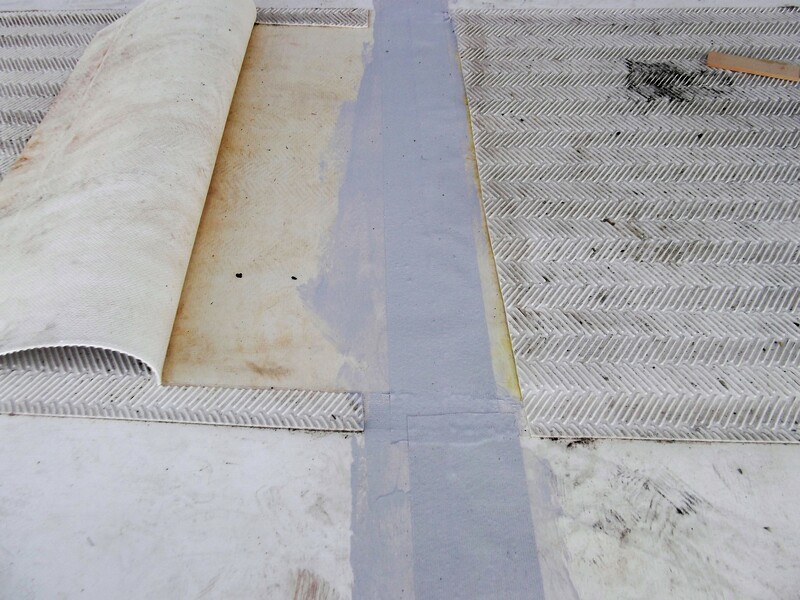 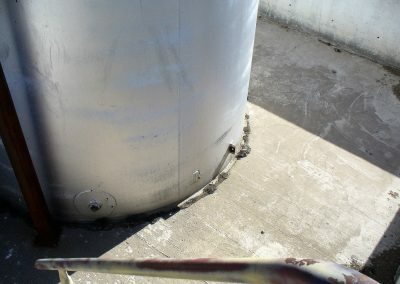 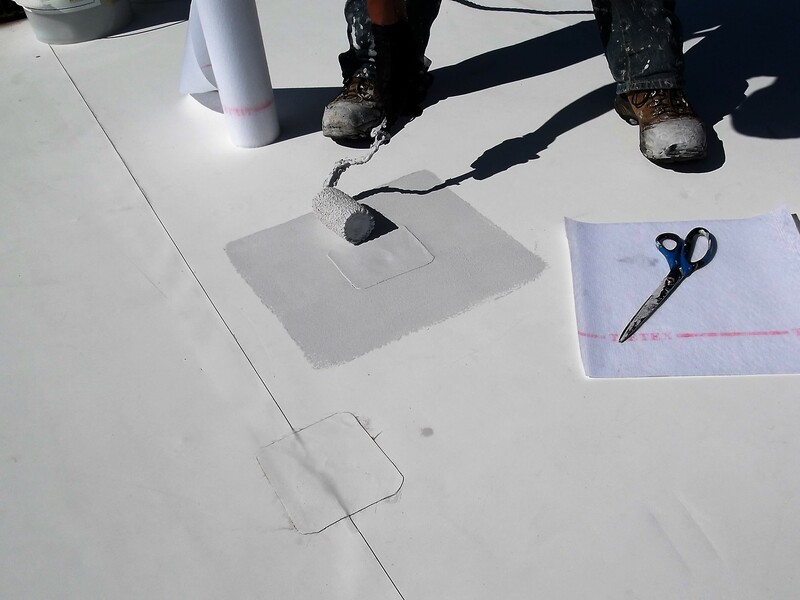 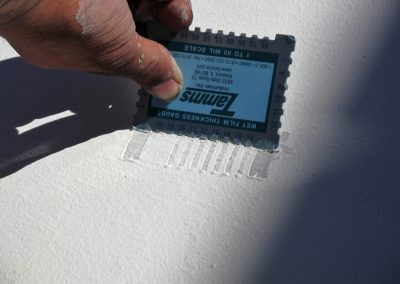 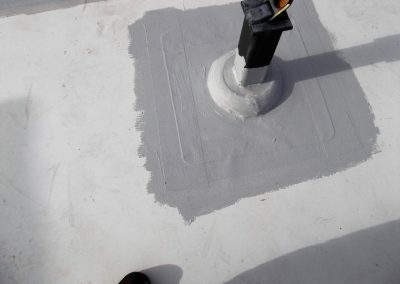 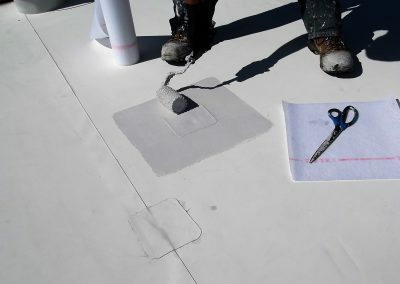 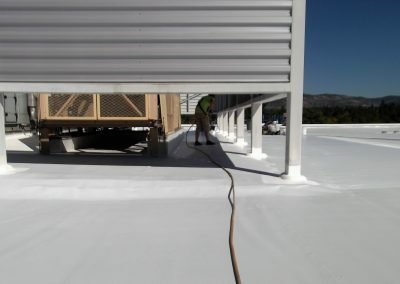 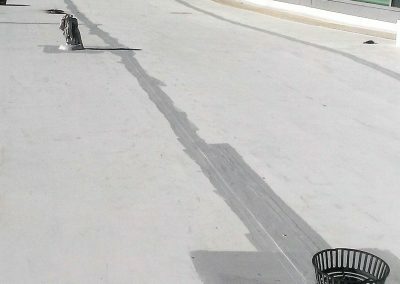 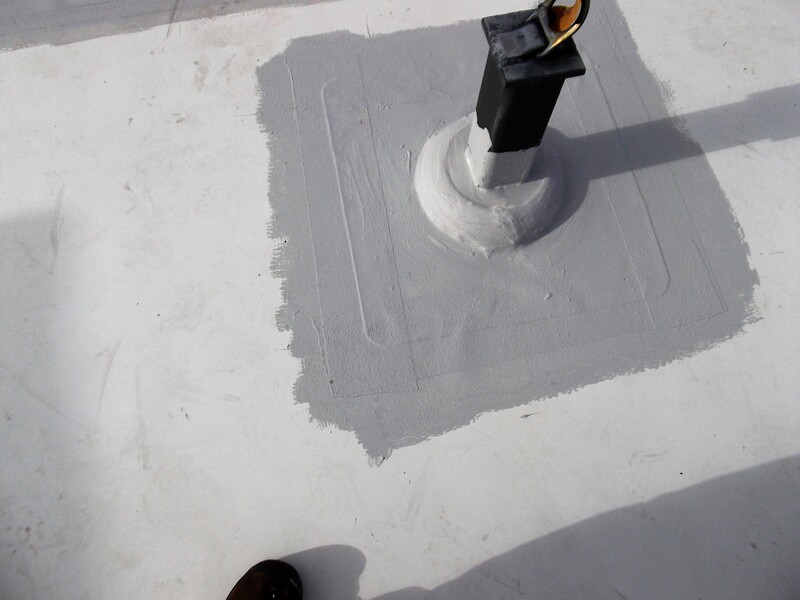 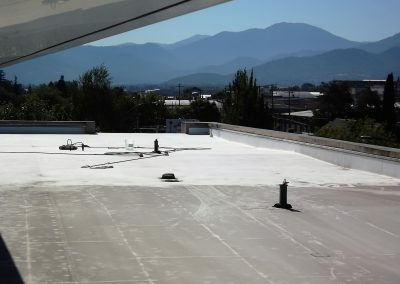 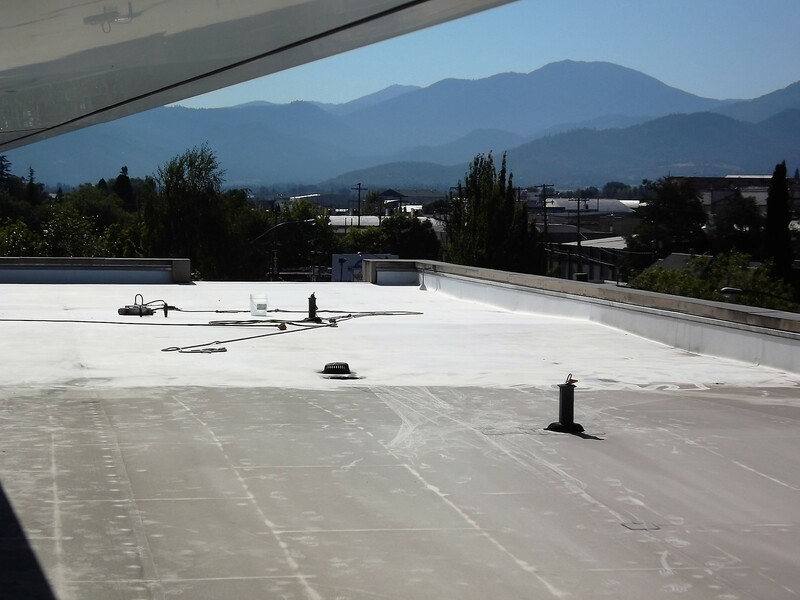 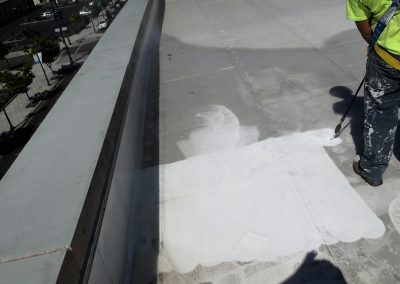 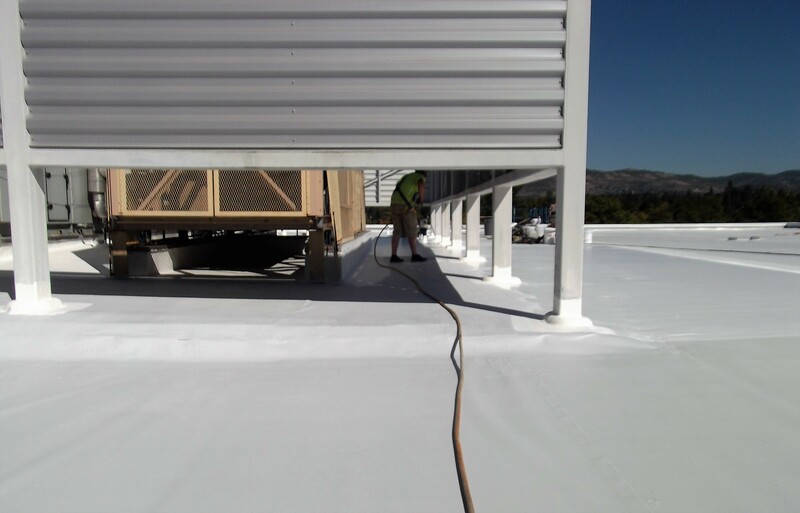 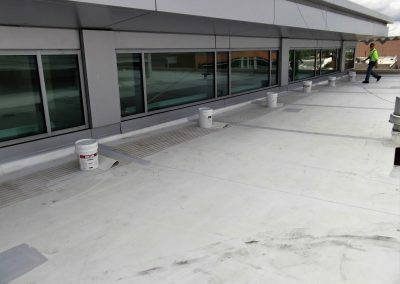 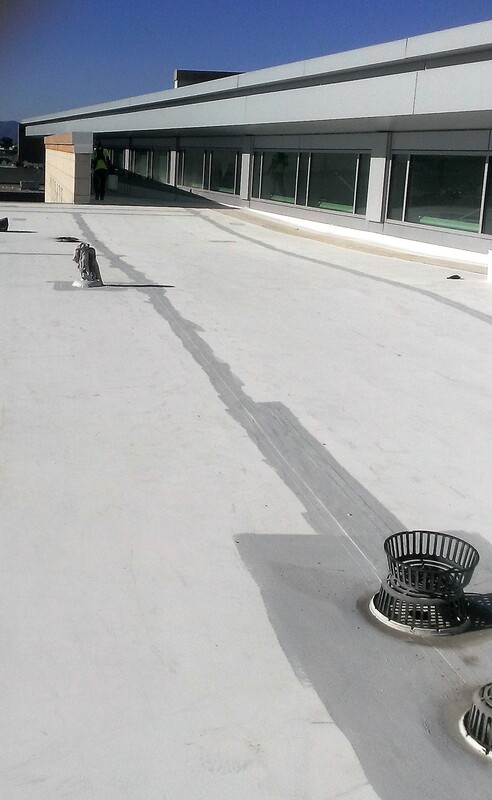 This project involved a repairing and recoating a failed membrane roof system with an elastomeric over coating system. 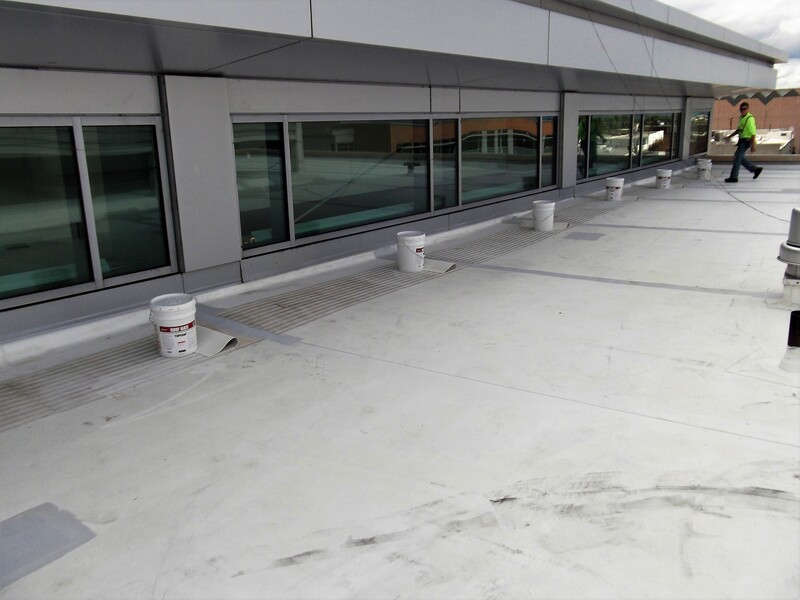 Adherence to safety protocols and following strict guidelines on pre-cleaning, detail work and subsequent coatings application QC buttoned up this roof water tight. 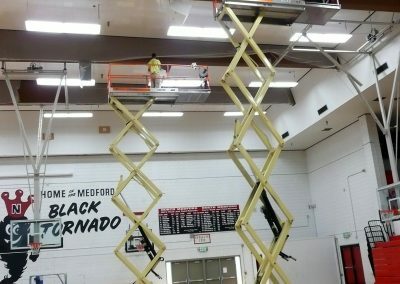 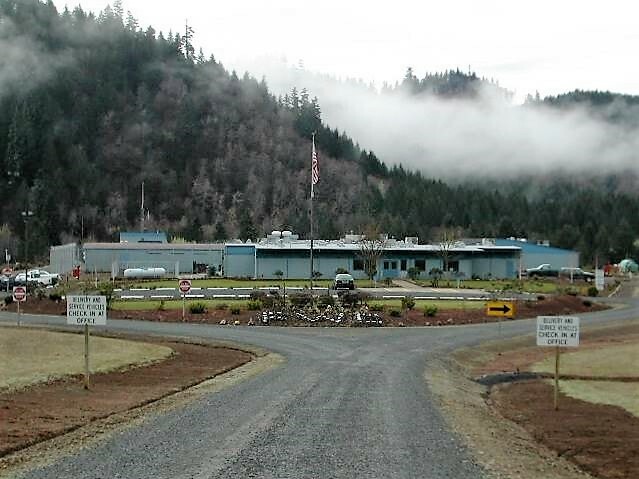 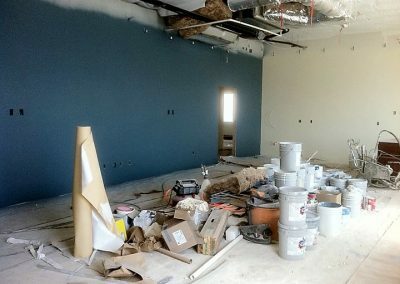 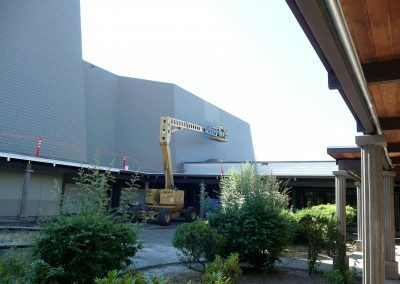 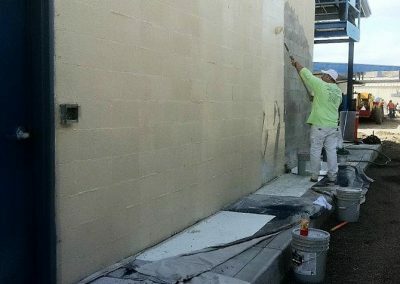 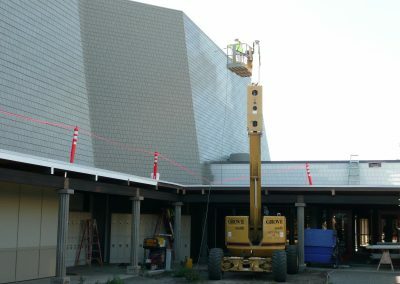 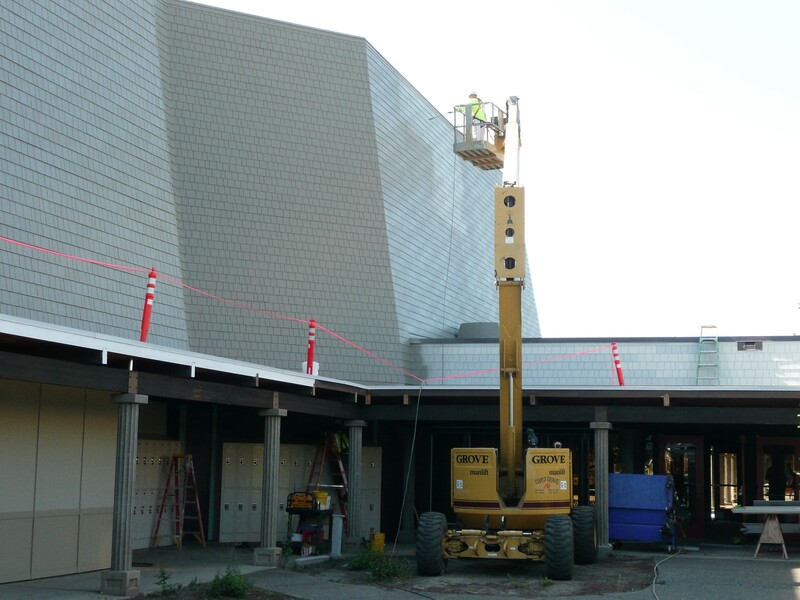 The school district acted as their own project managers on this project which involved remodeling and upgrading the entire campus. 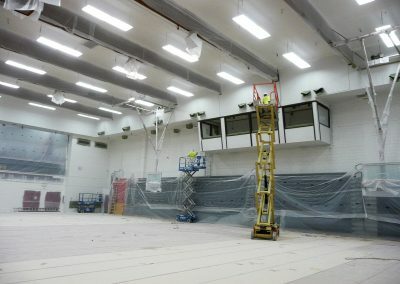 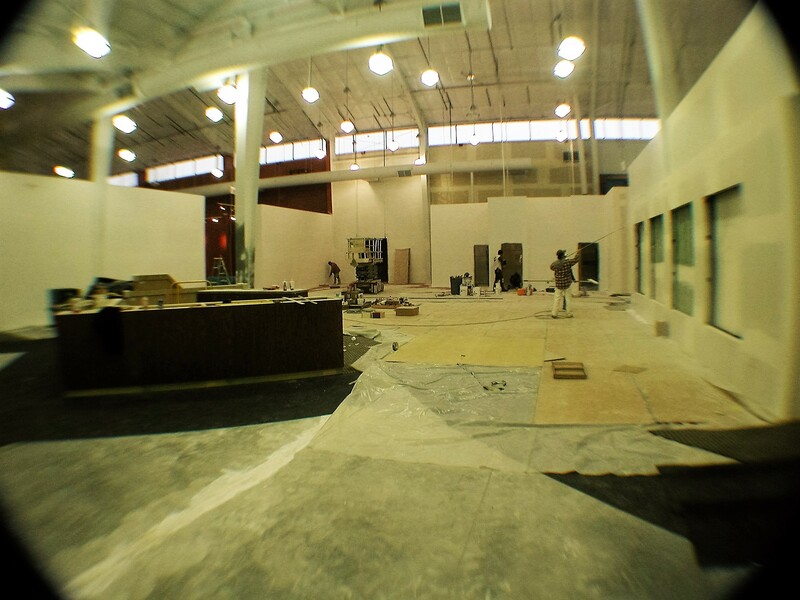 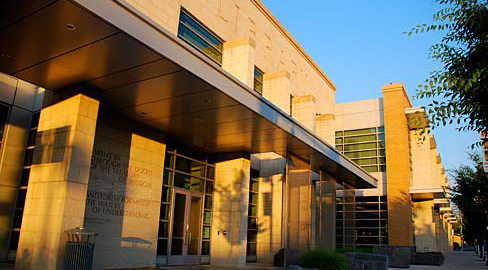 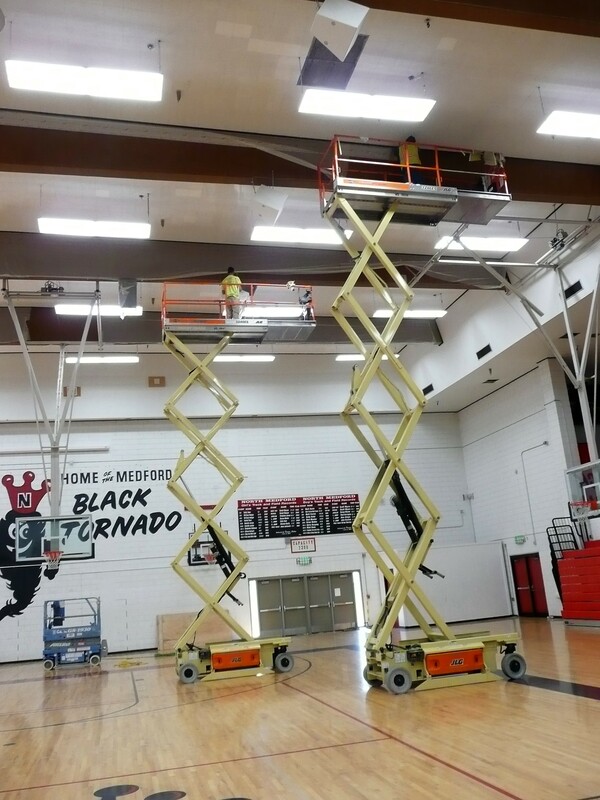 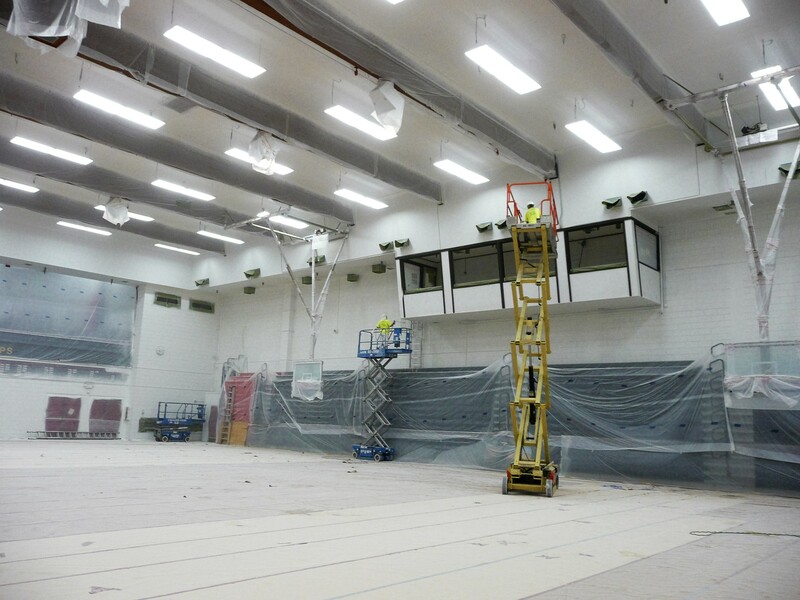 Our crews painted the gym and Performing Arts facility inside and out during a 2 month window over Summer Break. 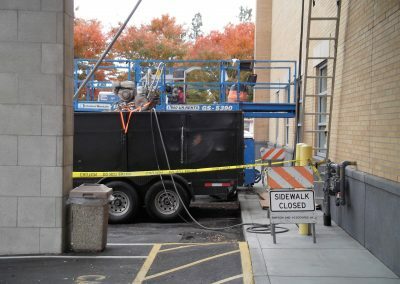 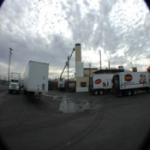 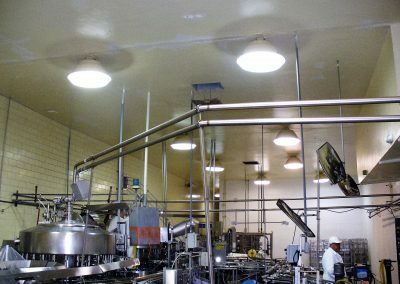 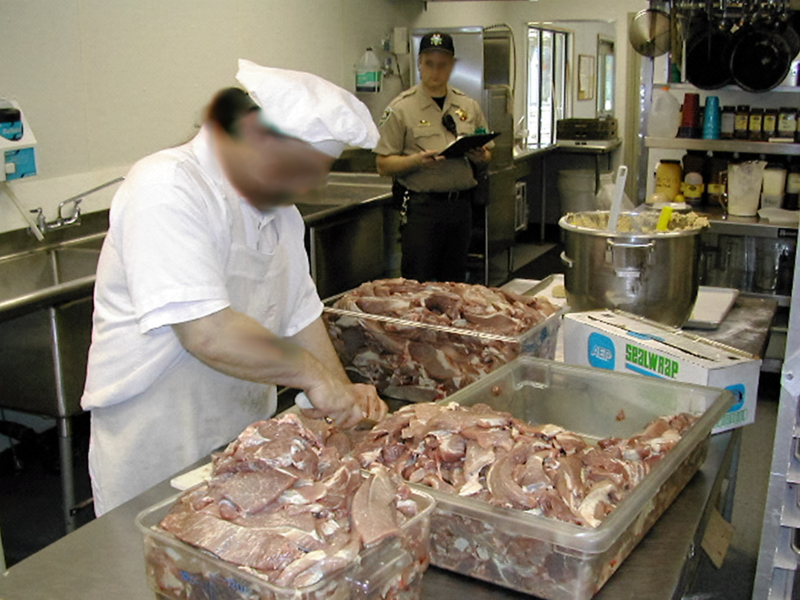 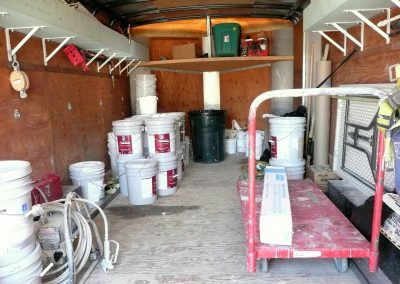 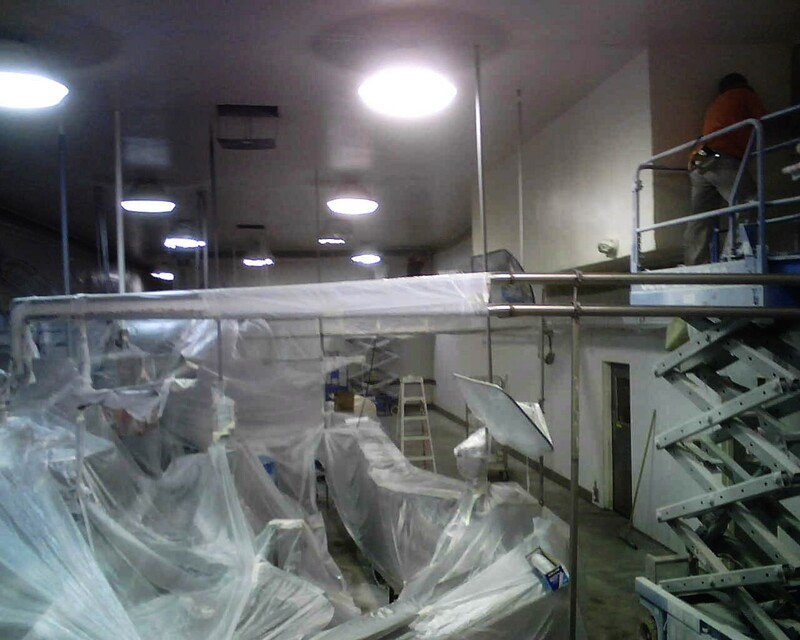 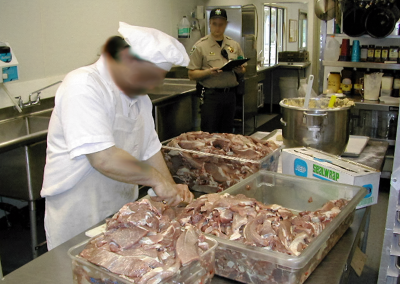 Contractor – Owner Direct This project involved a short duration shut down turnaround recoating of walls and ceilings to meet SQF Code Module 11 observations in Food Handling Sanitation. 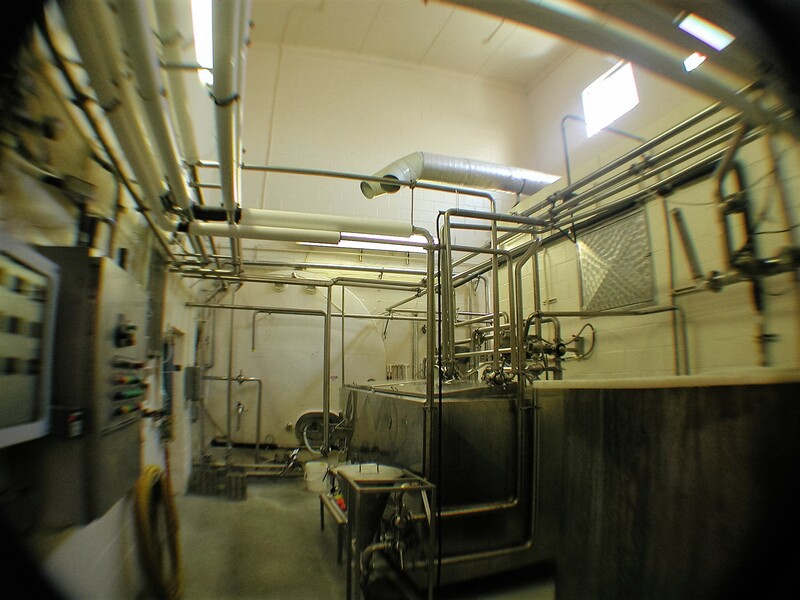 The Plants Production Schedule and not inhibit bulk milk deliveries. 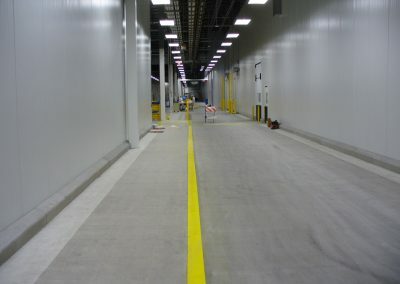 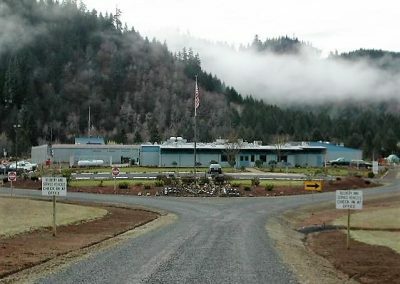 The facility was accessed by our crews in the evening on a Friday and turned back over for Monday mornings’ production run. 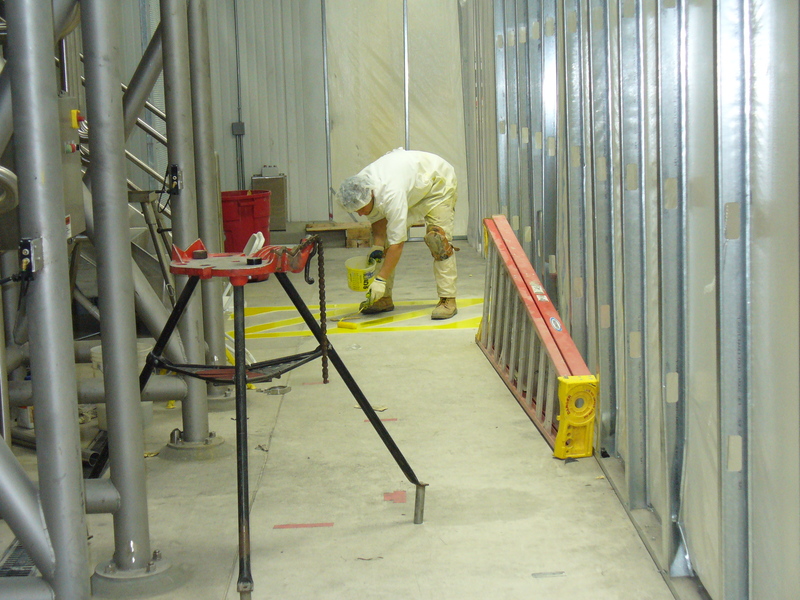 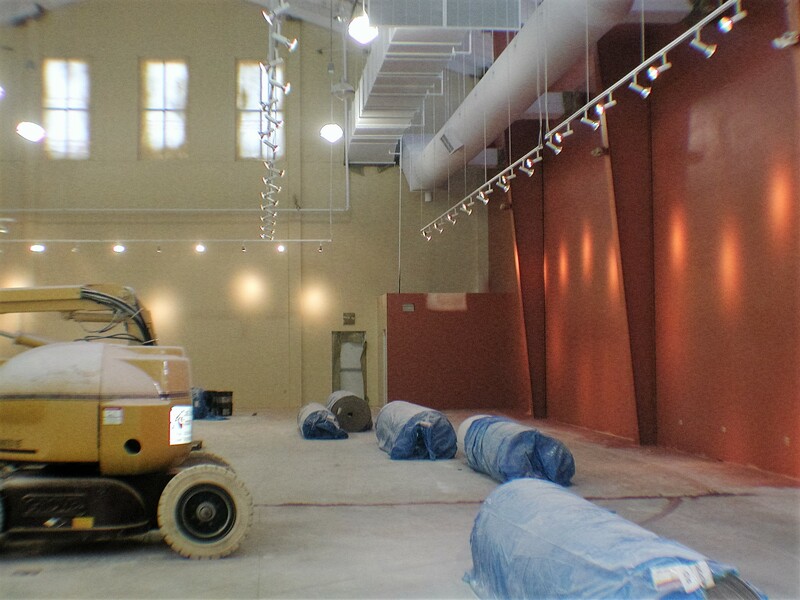 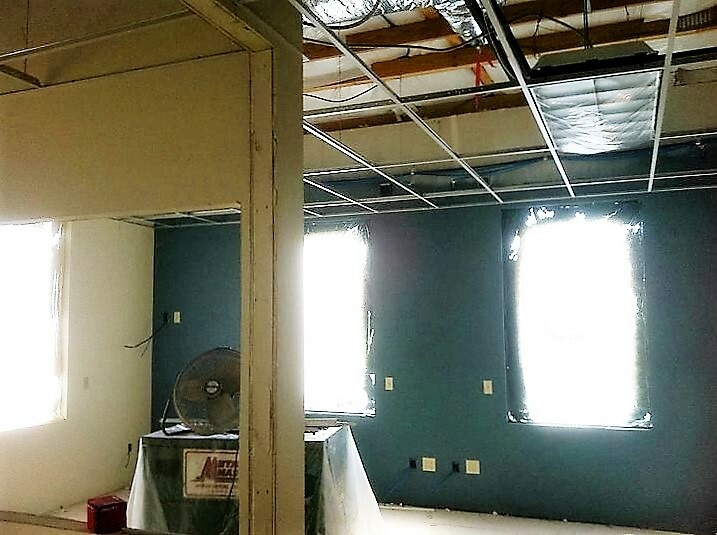 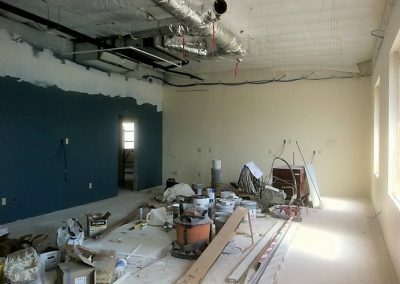 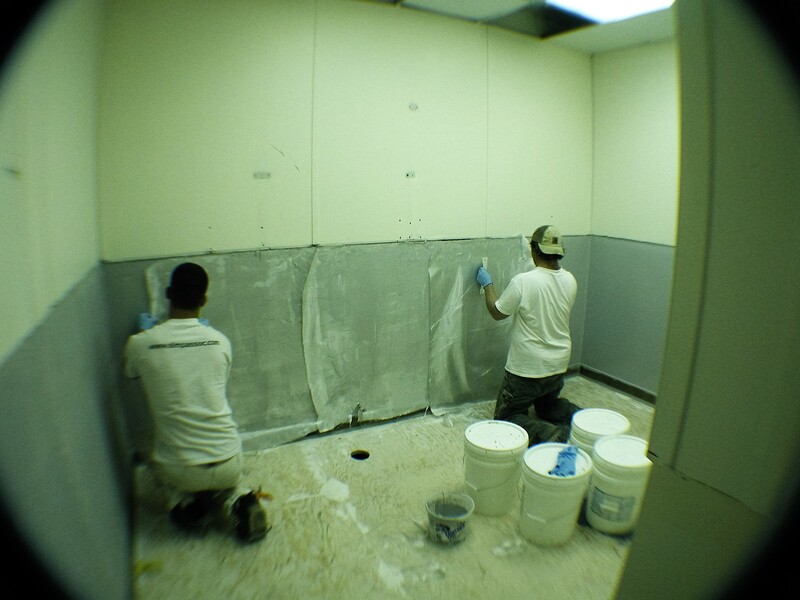 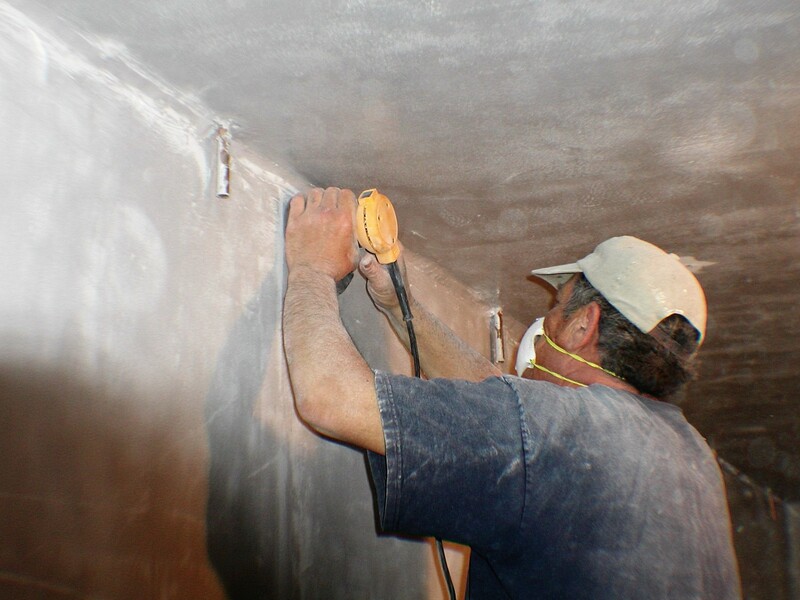 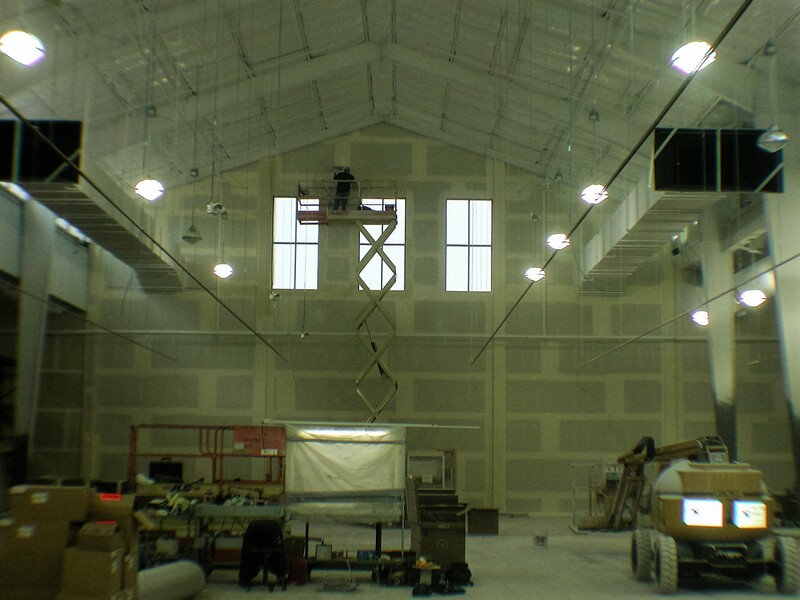 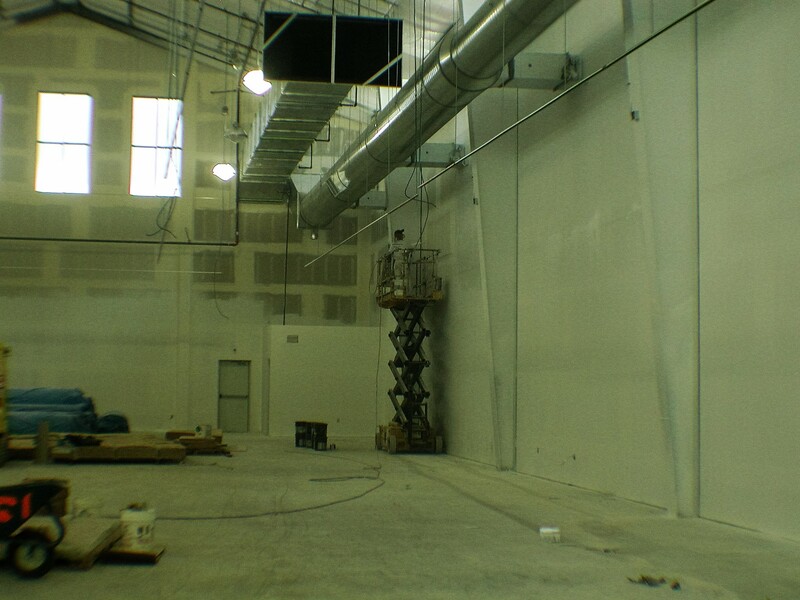 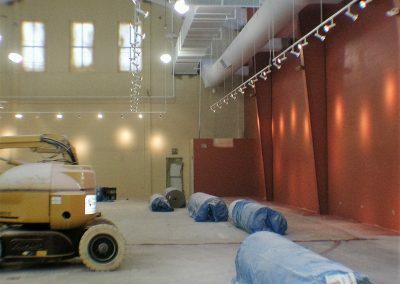 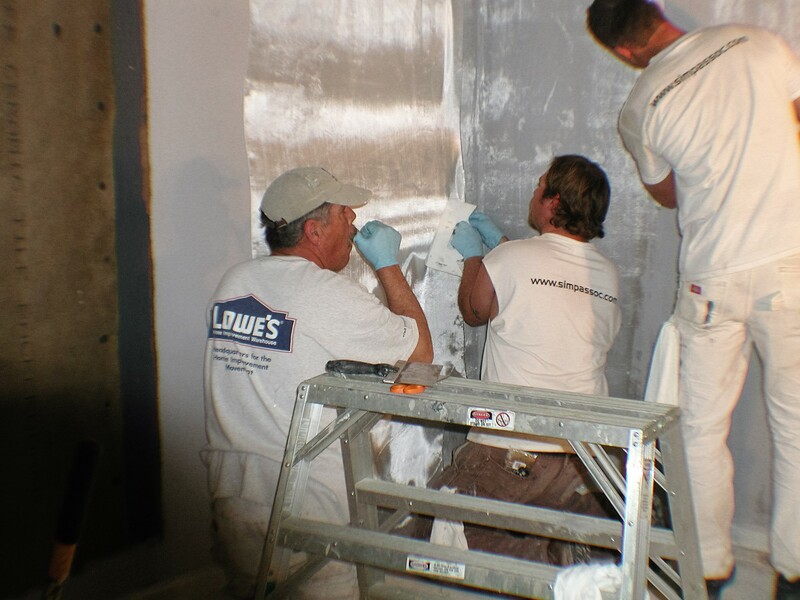 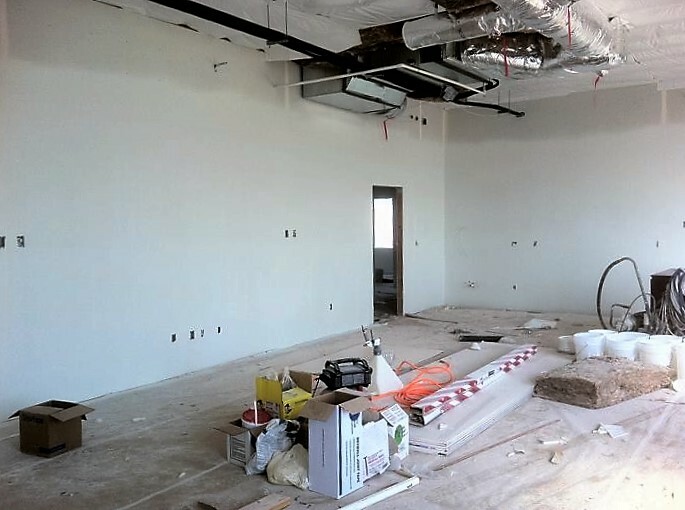 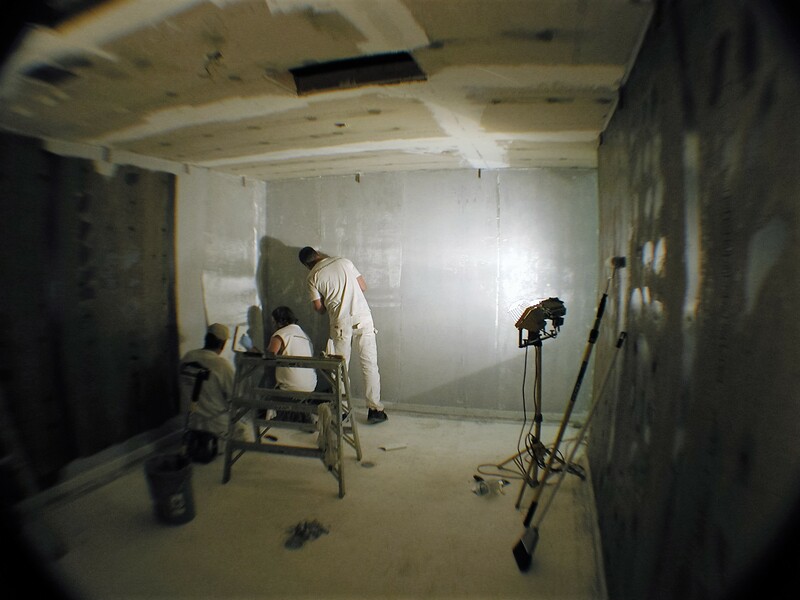 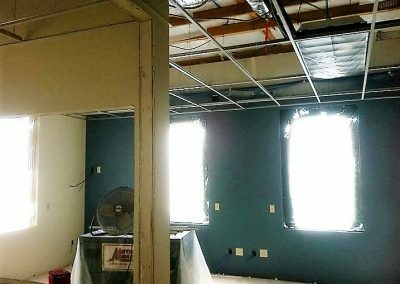 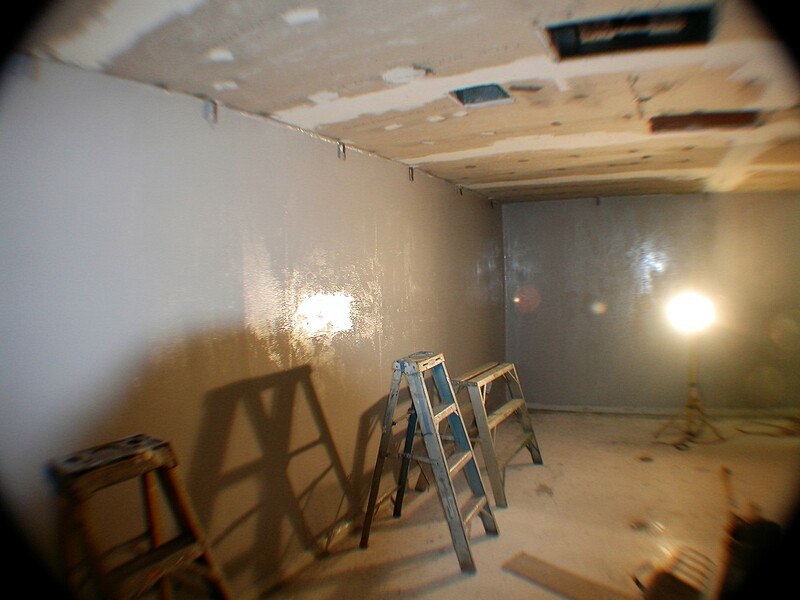 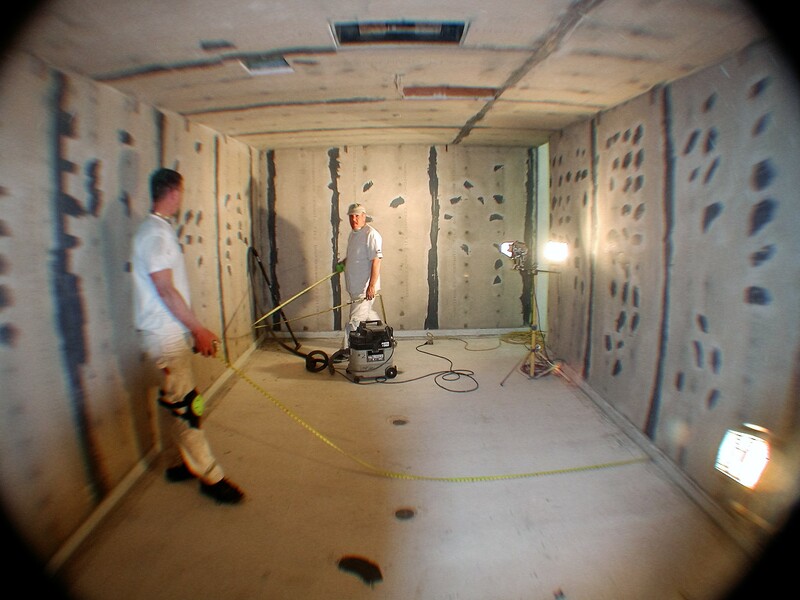 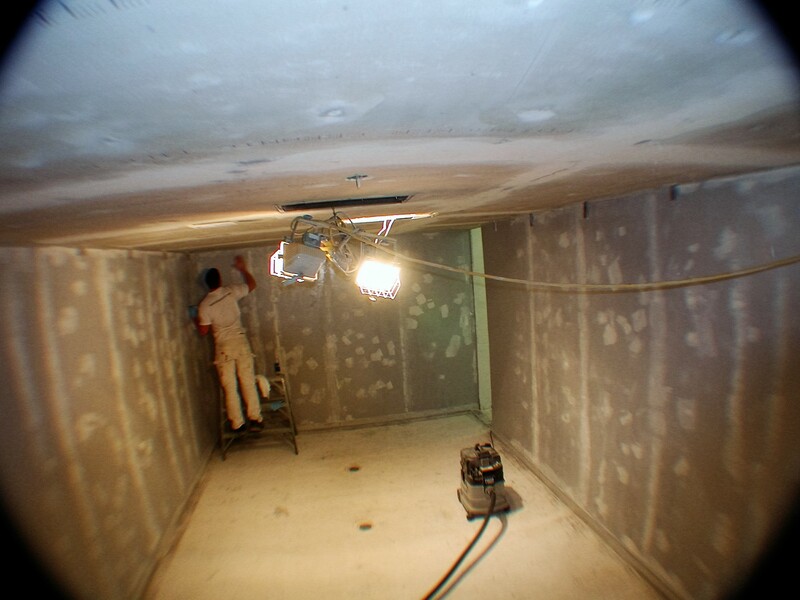 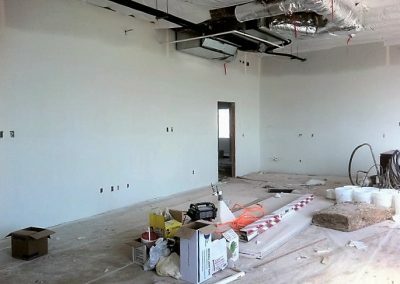 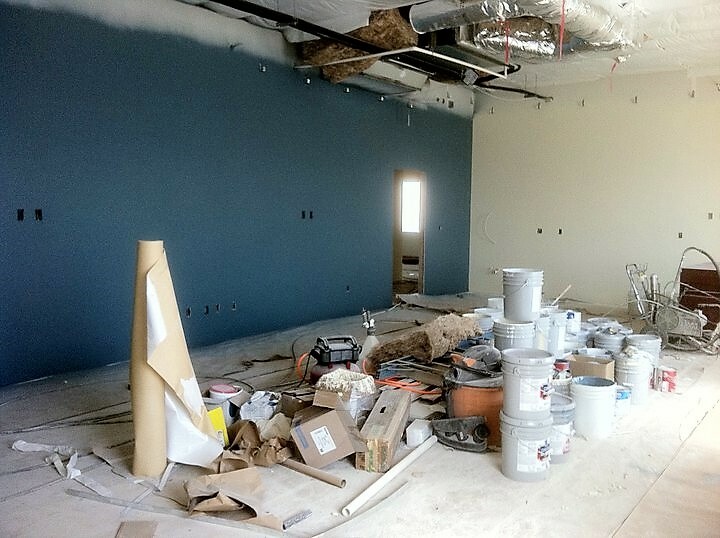 This project involved painting structural steel, duct banks, drywall, hollow metal and wallcoverings installations. 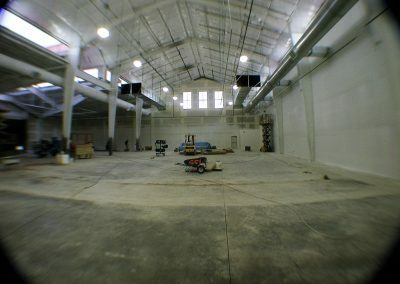 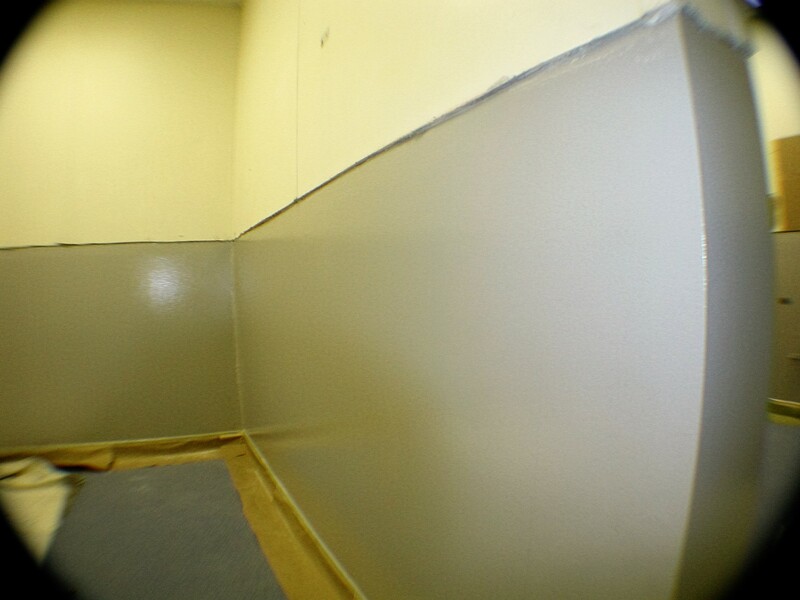 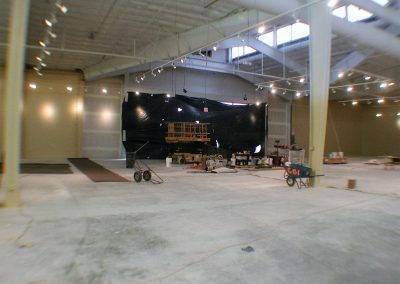 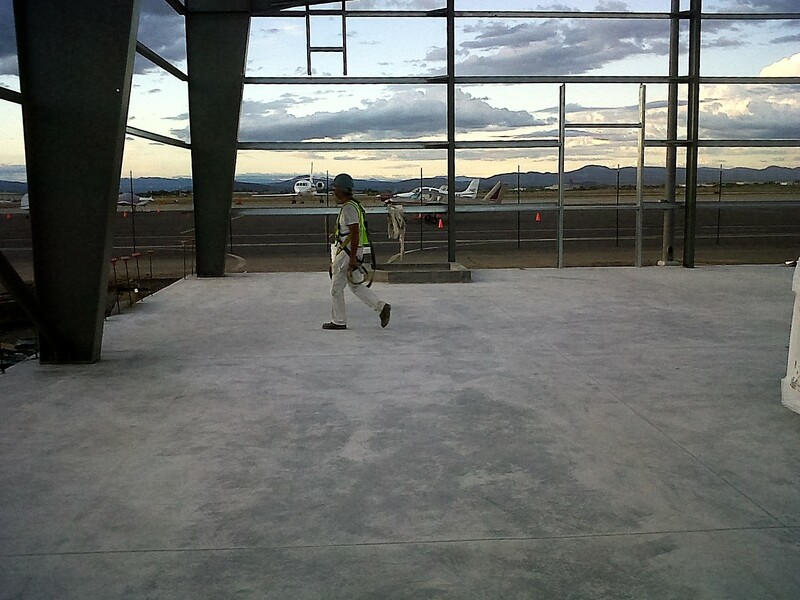 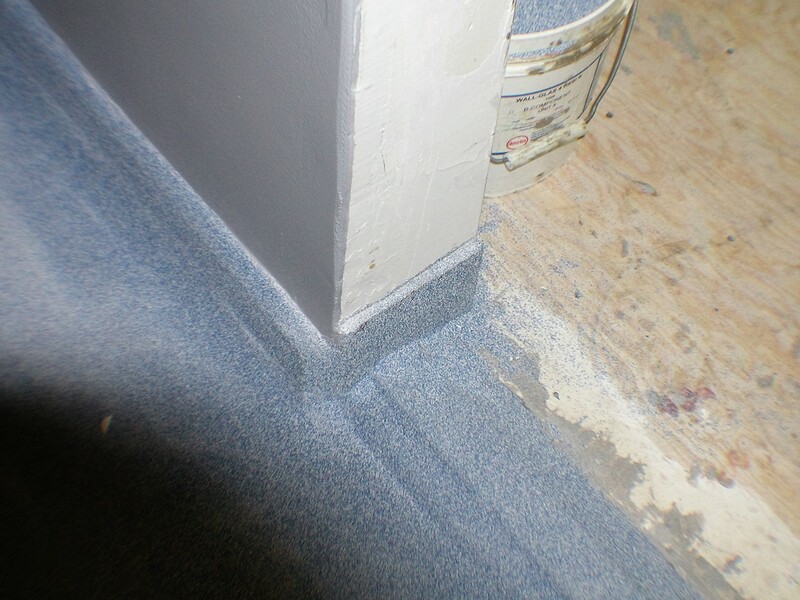 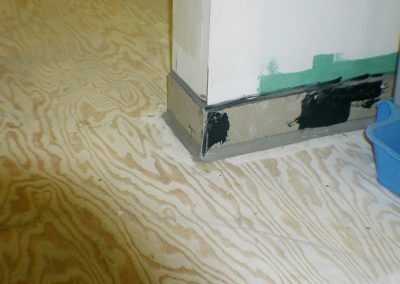 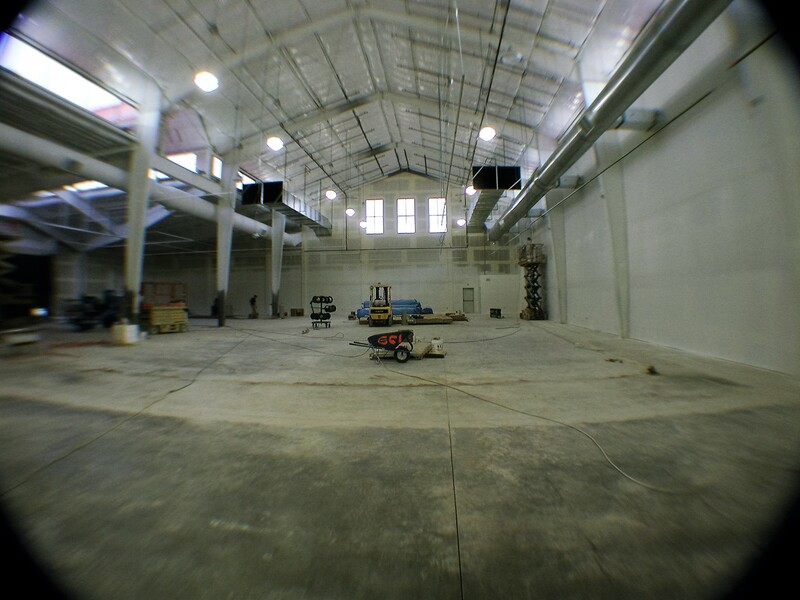 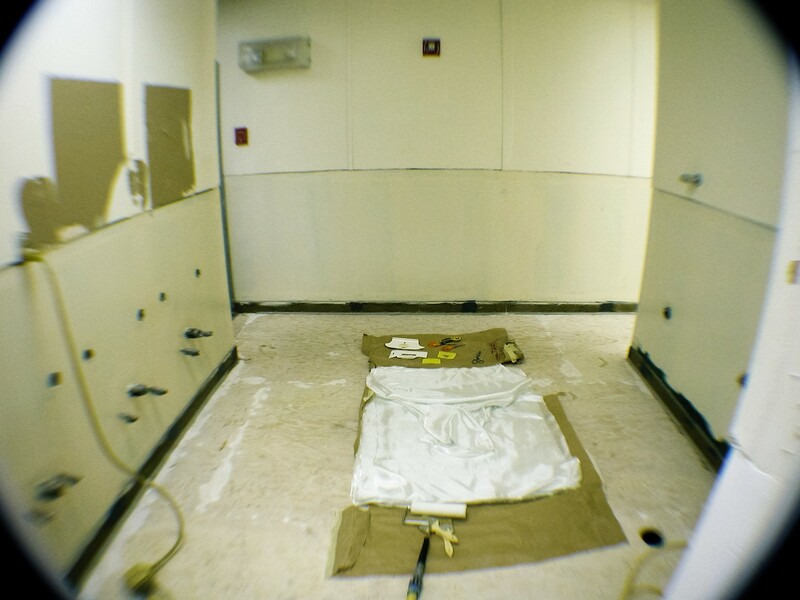 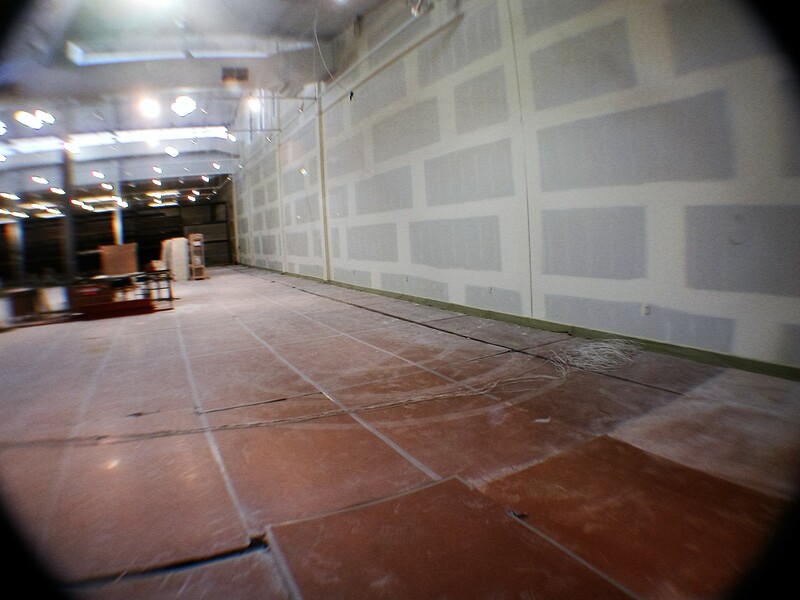 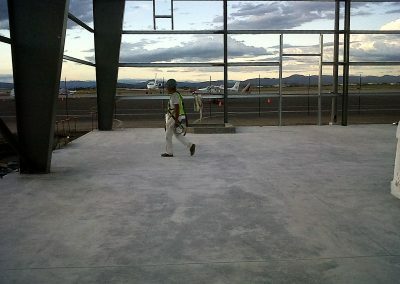 Finished floors were installed – all floors were protected with hardboard panels and drops. 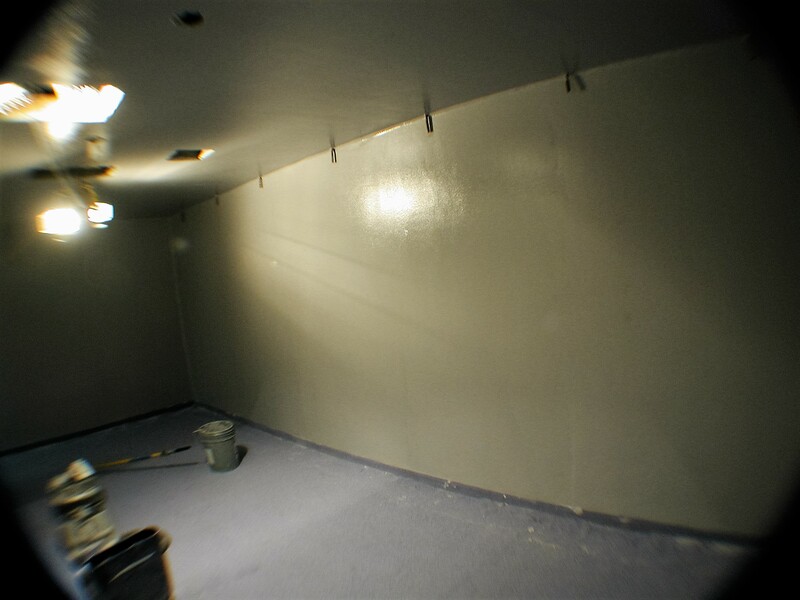 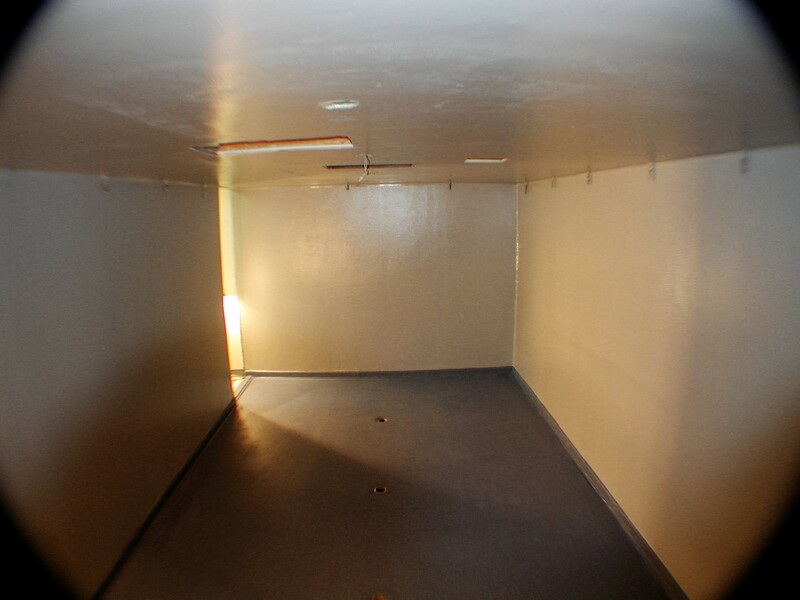 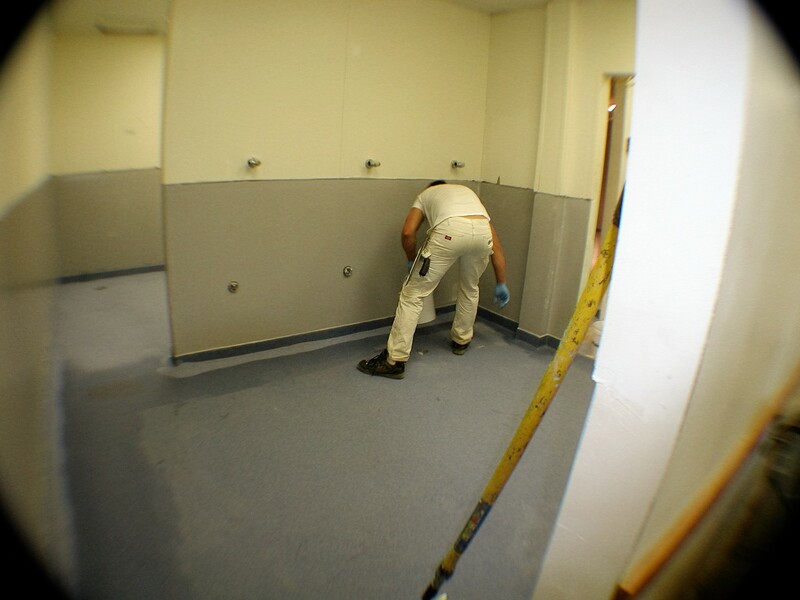 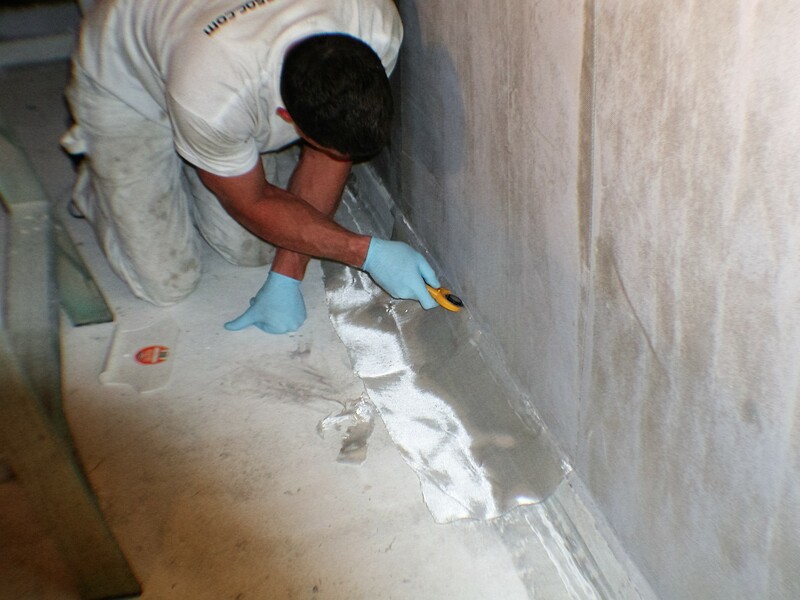 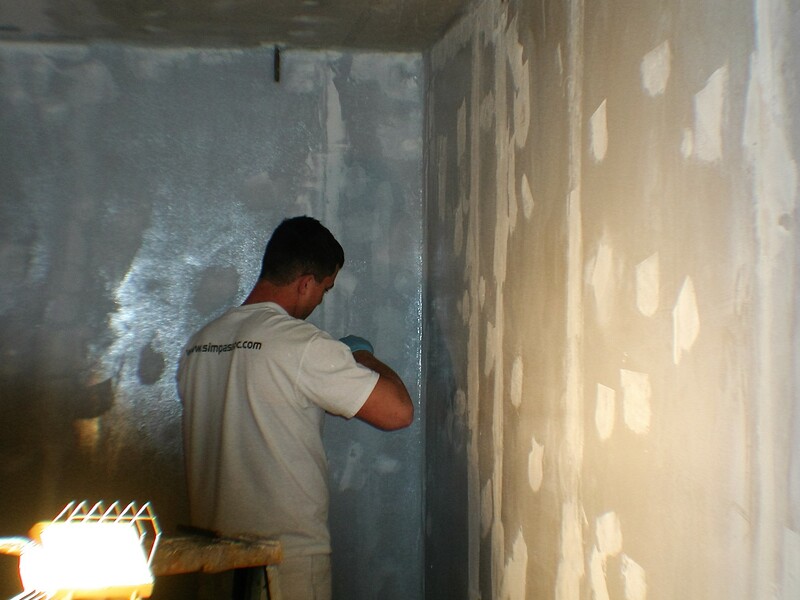 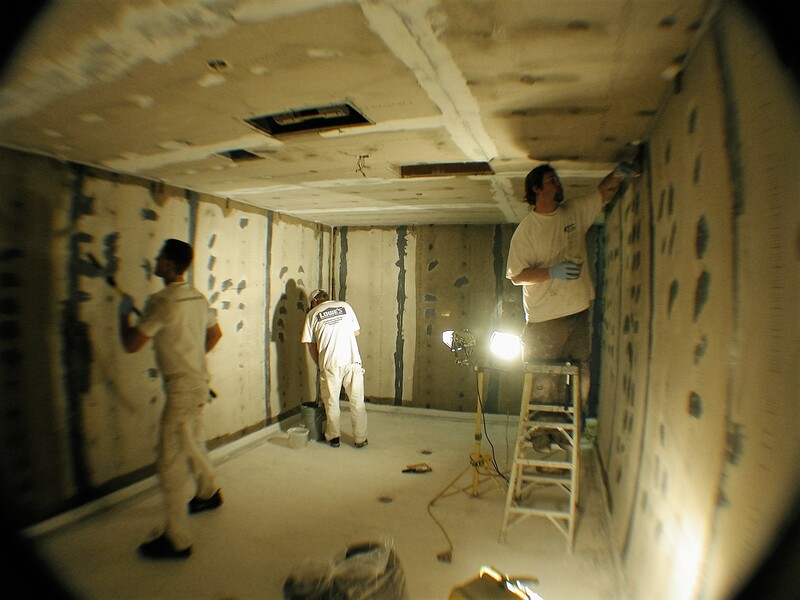 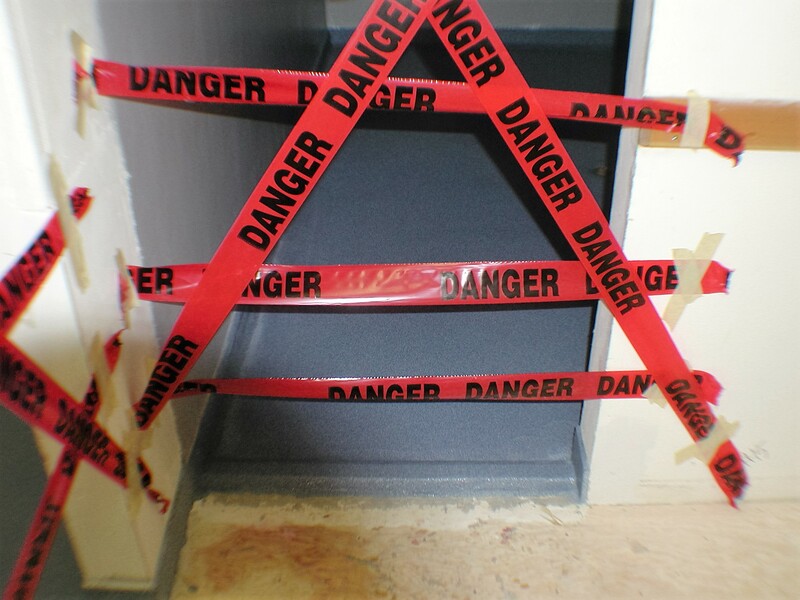 This project involved shower rooms and changing rooms rehabilitation of walls and floors. 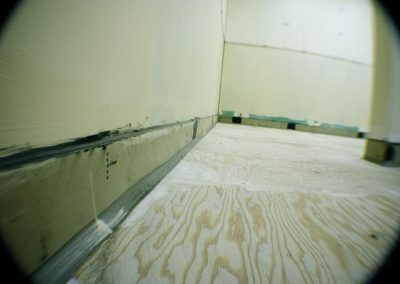 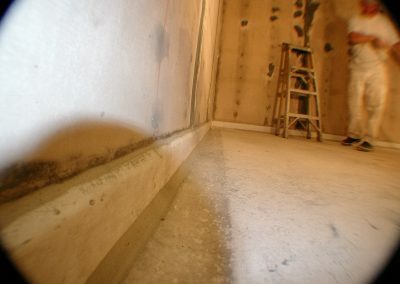 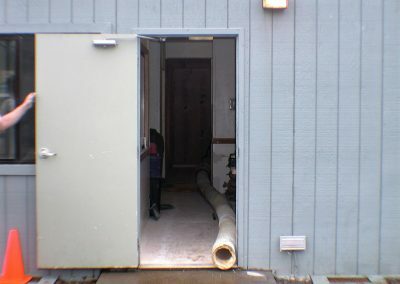 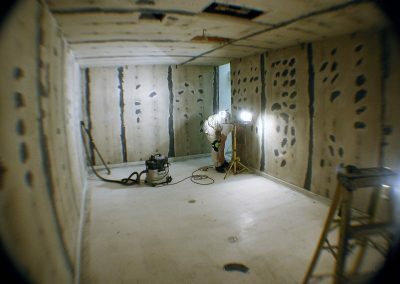 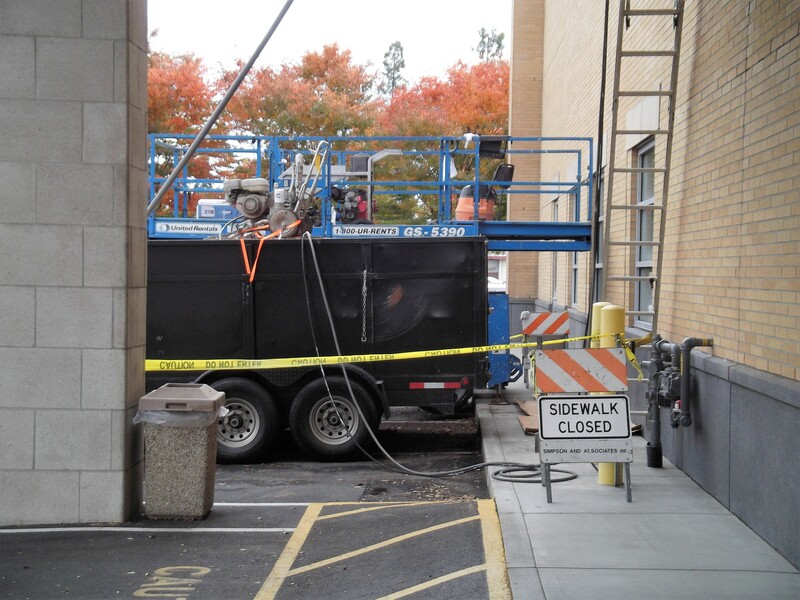 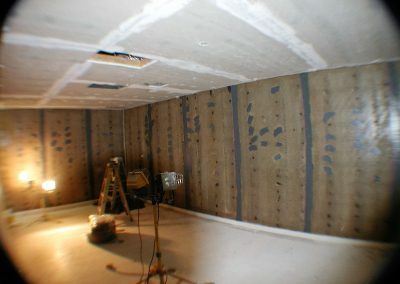 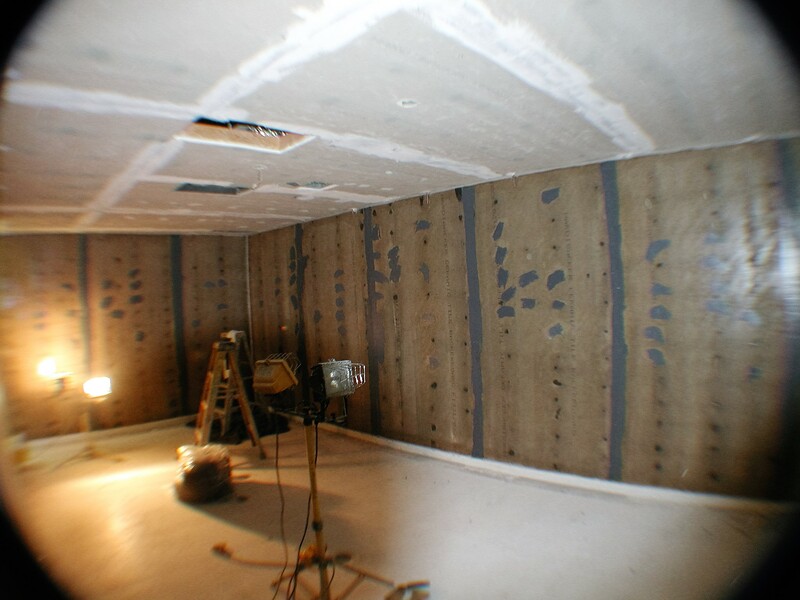 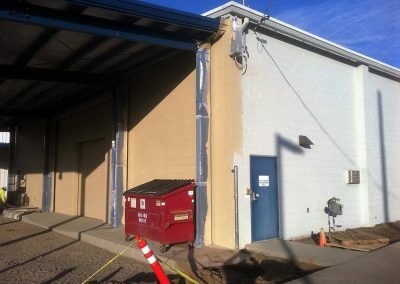 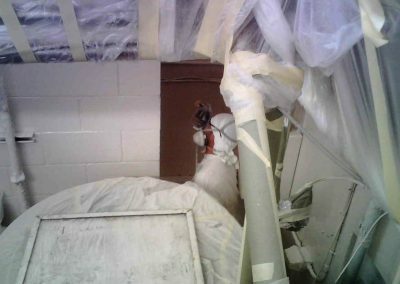 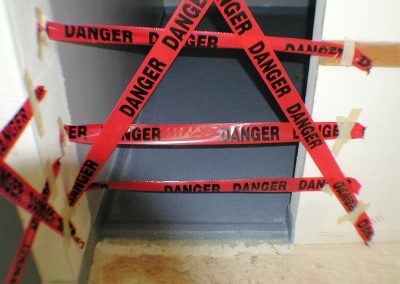 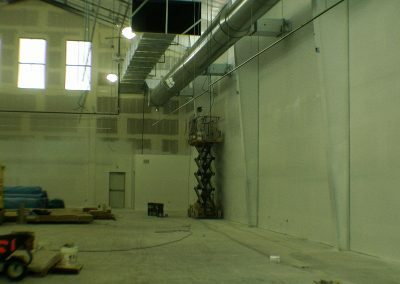 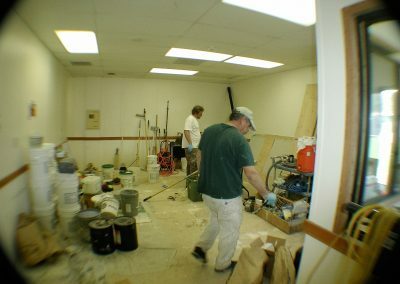 The wood framed facility had incurred leakage into wall cavities and extensive mold formations. Walls and ceilings were demo’ed and new cement board wall sheathing was installed in wet areas. 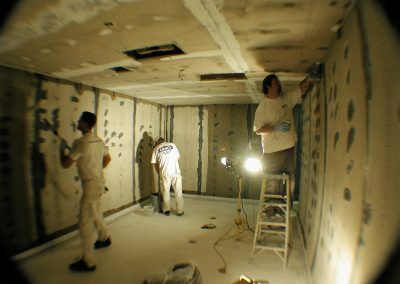 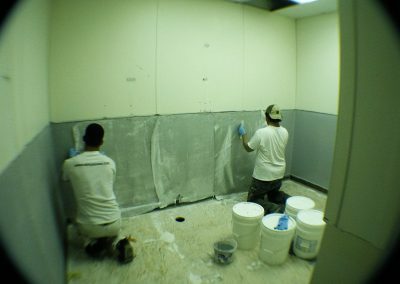 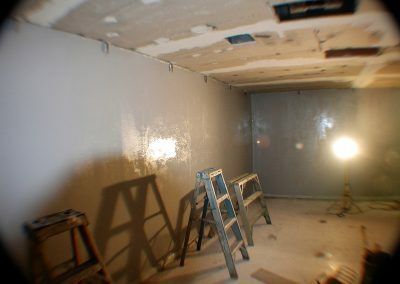 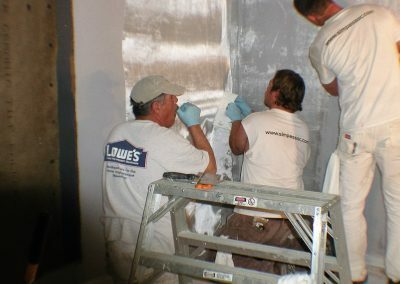 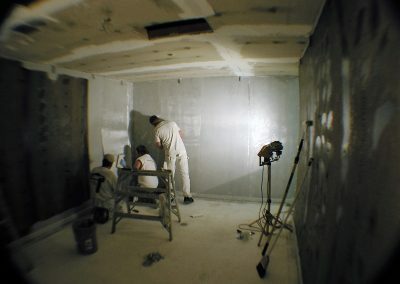 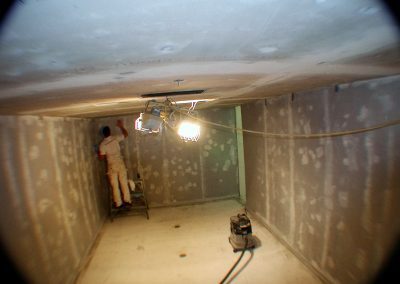 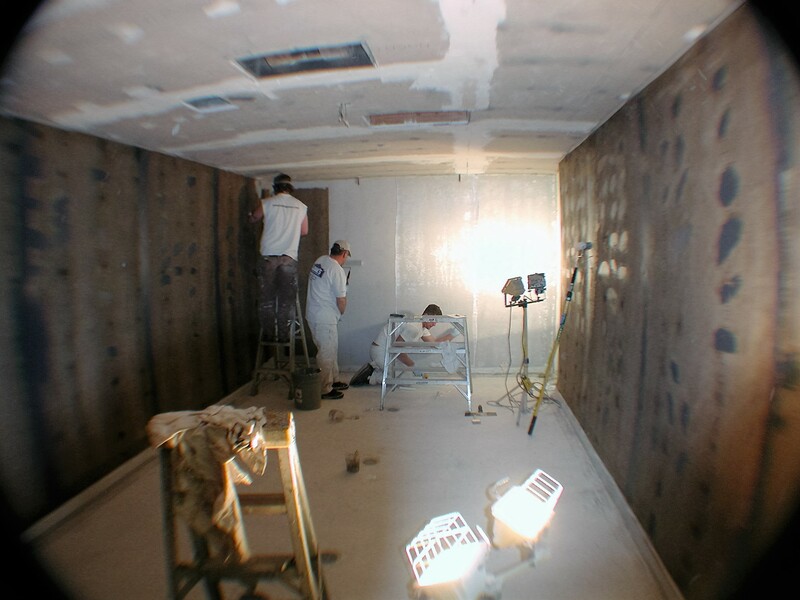 A fiberglass mat reinforced wall system was then trowel applied floor to ceiling in shower areas and as a wainscot in changing areas. 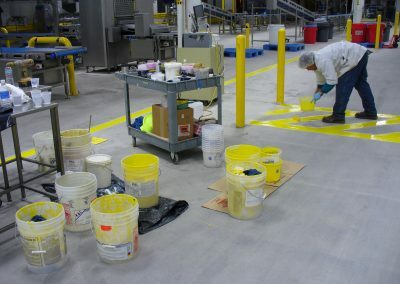 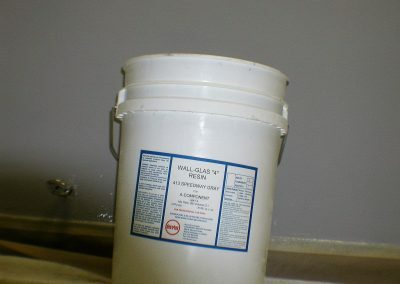 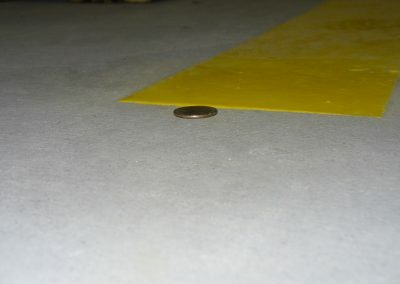 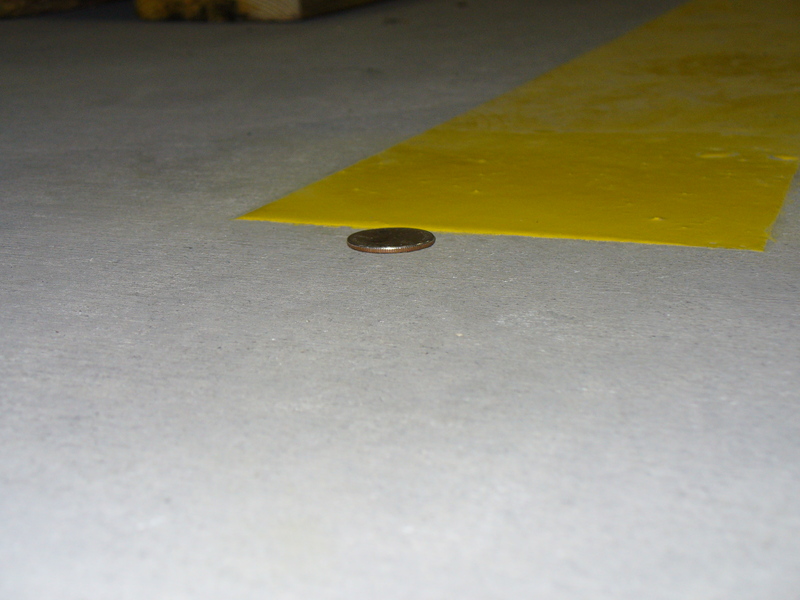 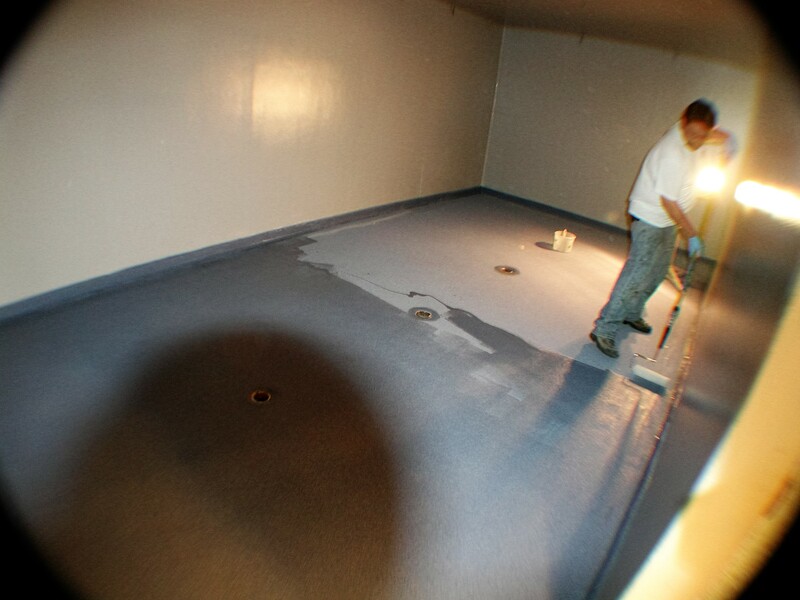 All surfaces were then over-coated with Epoxy. 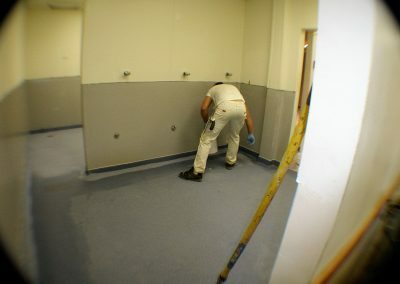 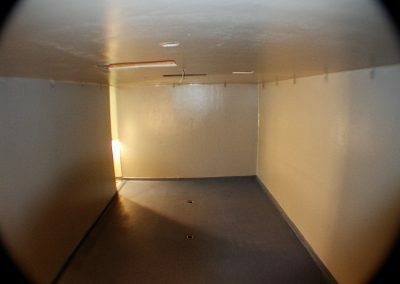 The floors were also finished with a decorative seeded epoxy system which included seamless cove base for a completely watertight solution. 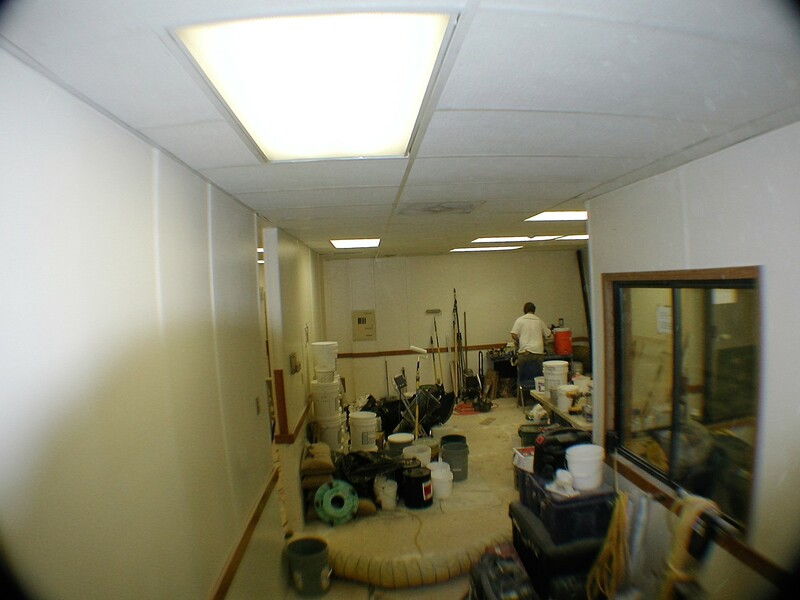 Contractor S & B James Construction Mgmt. 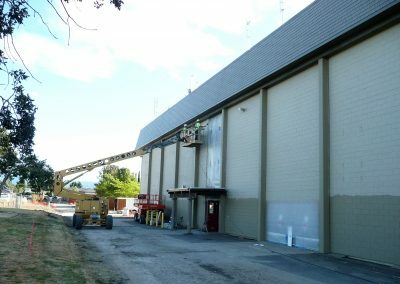 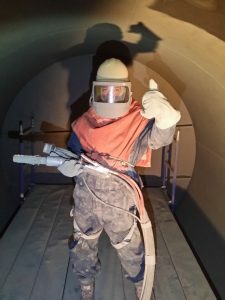 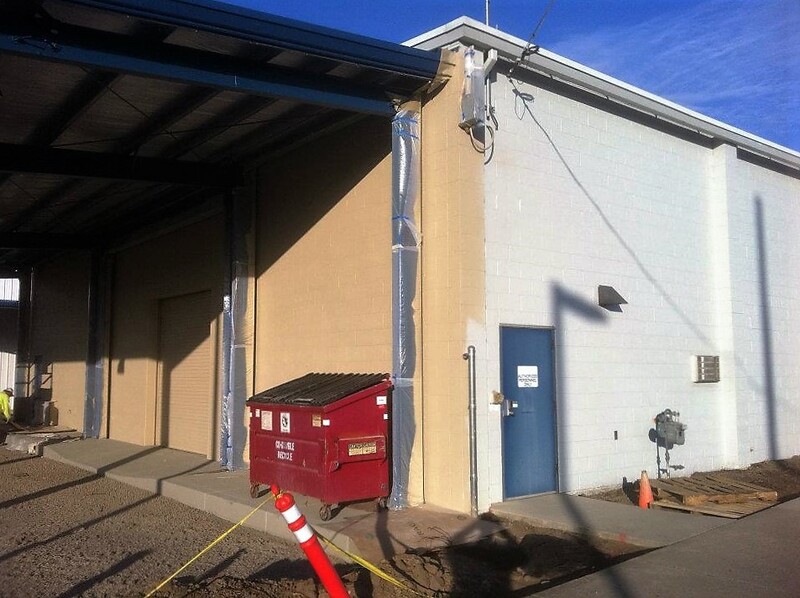 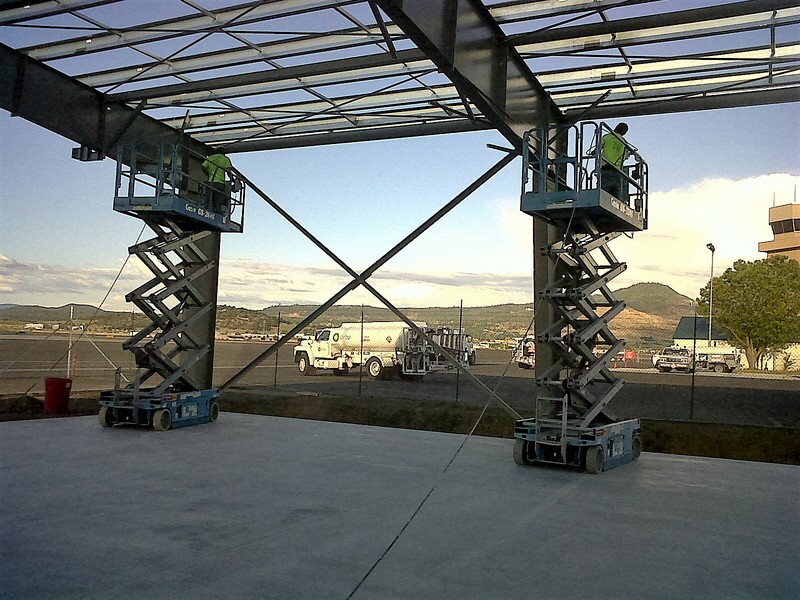 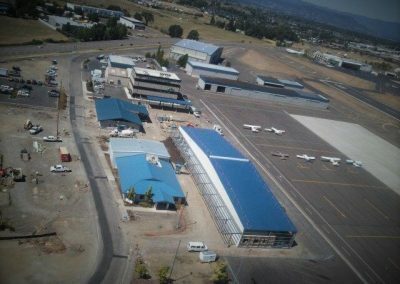 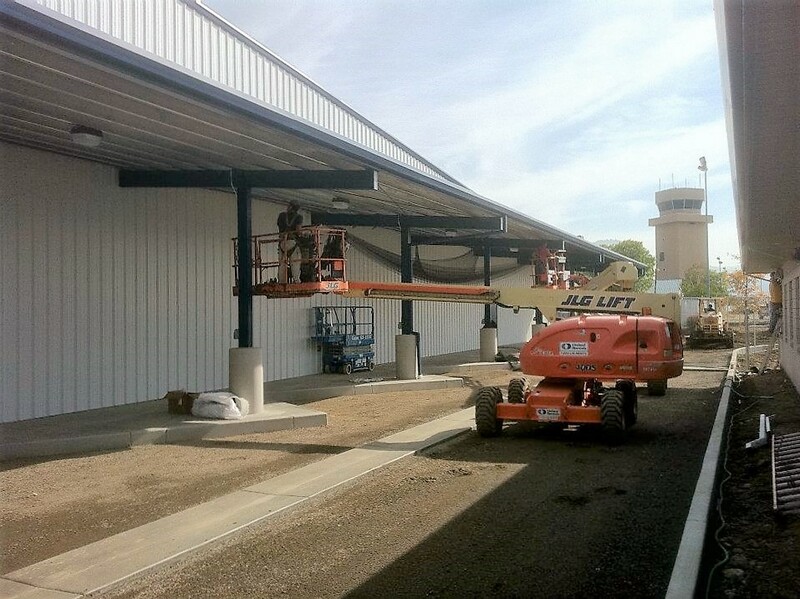 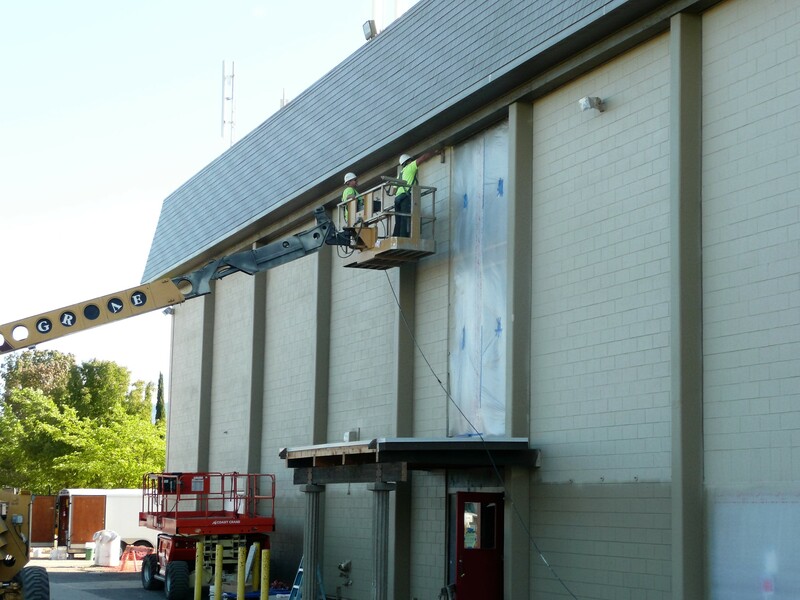 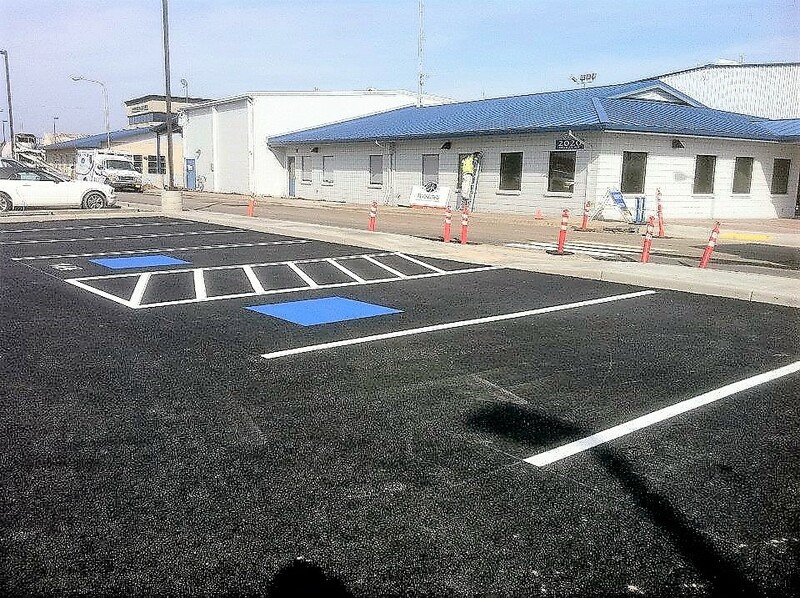 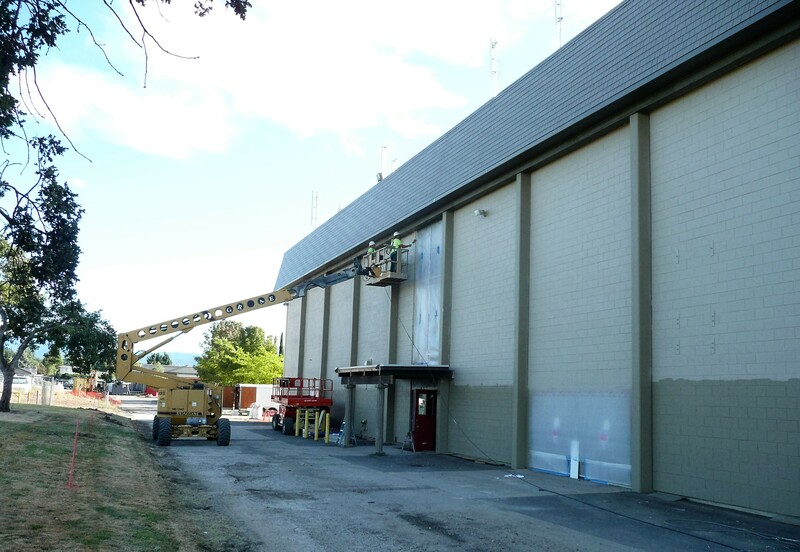 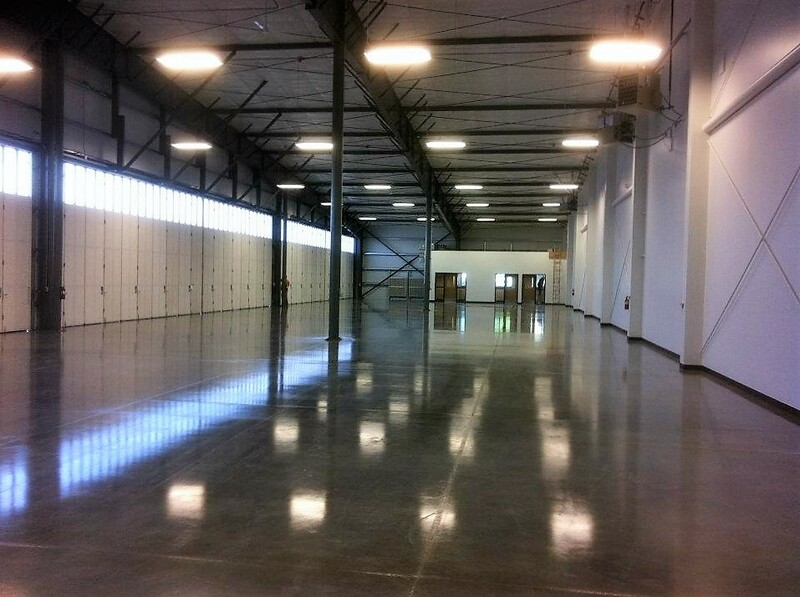 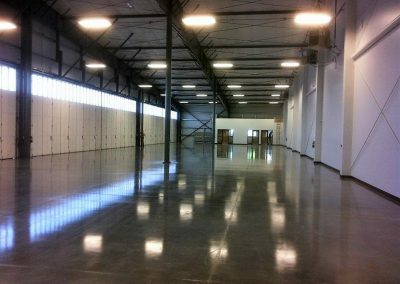 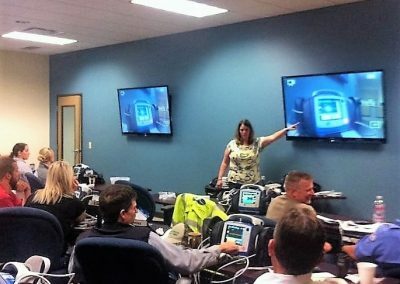 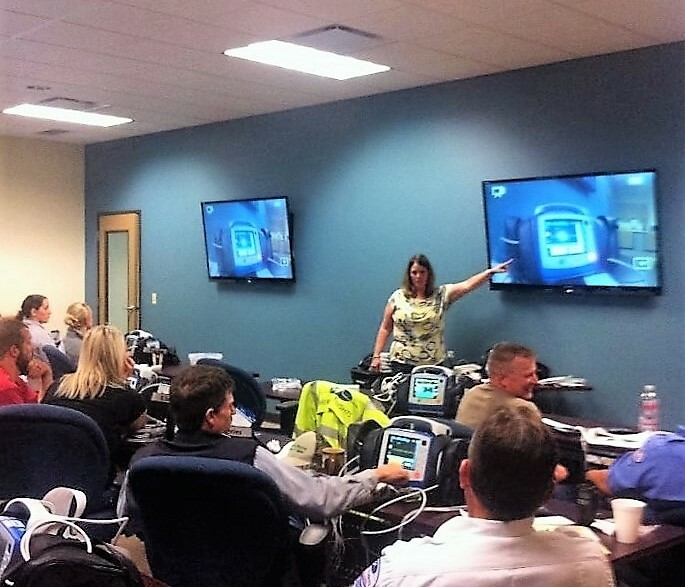 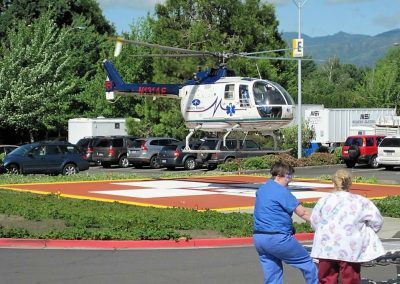 This project included interior and exterior coatings in new and existing facility buildings including Hanger and Shops Facility and Central Offices Training Center. 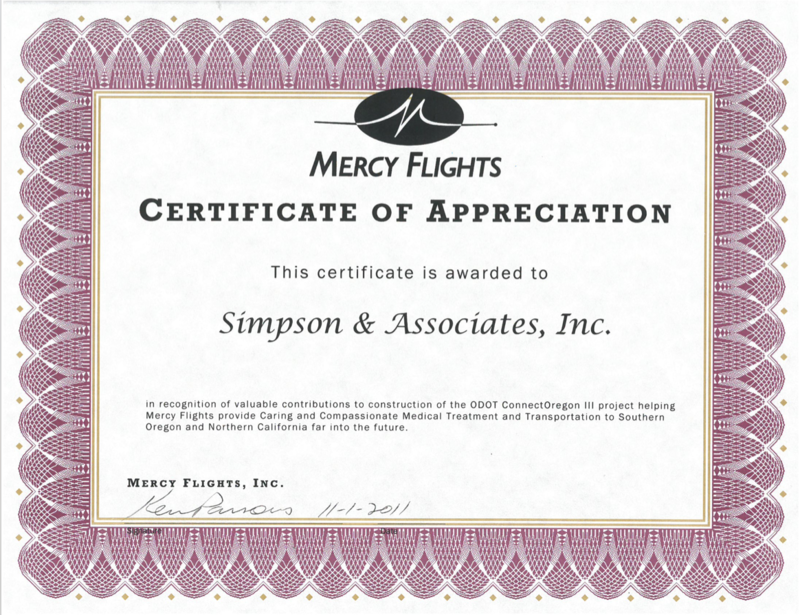 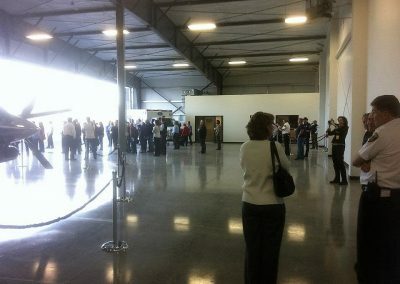 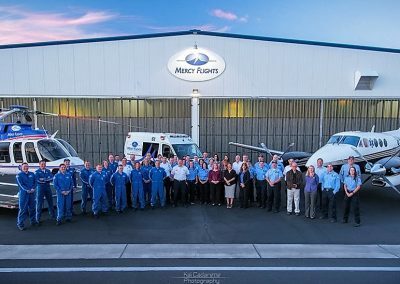 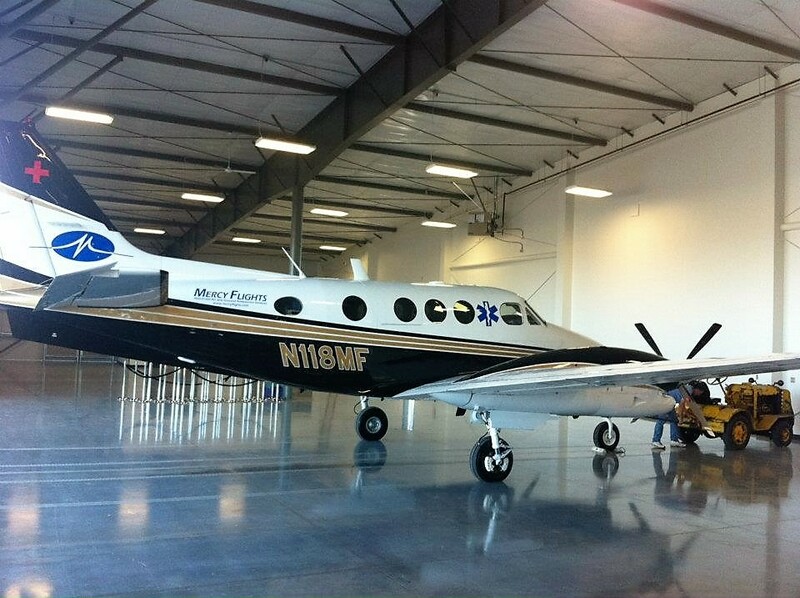 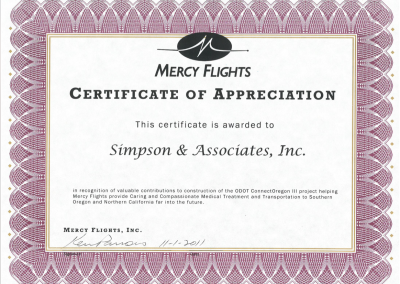 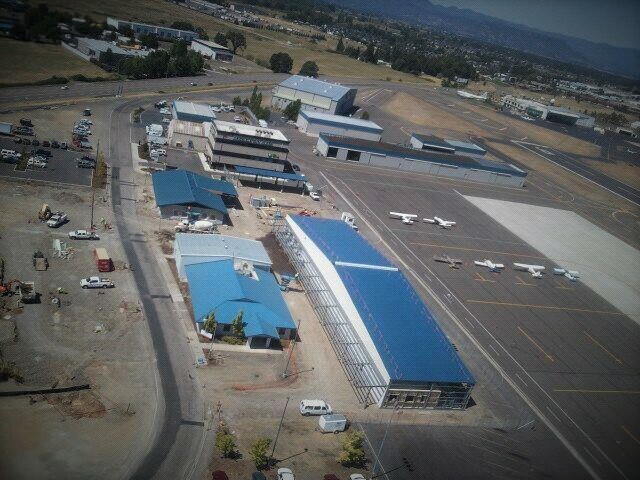 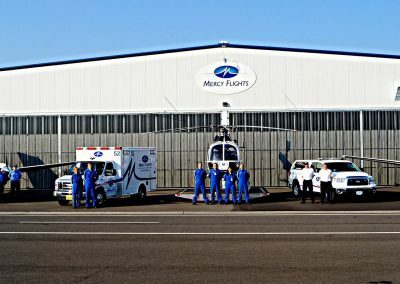 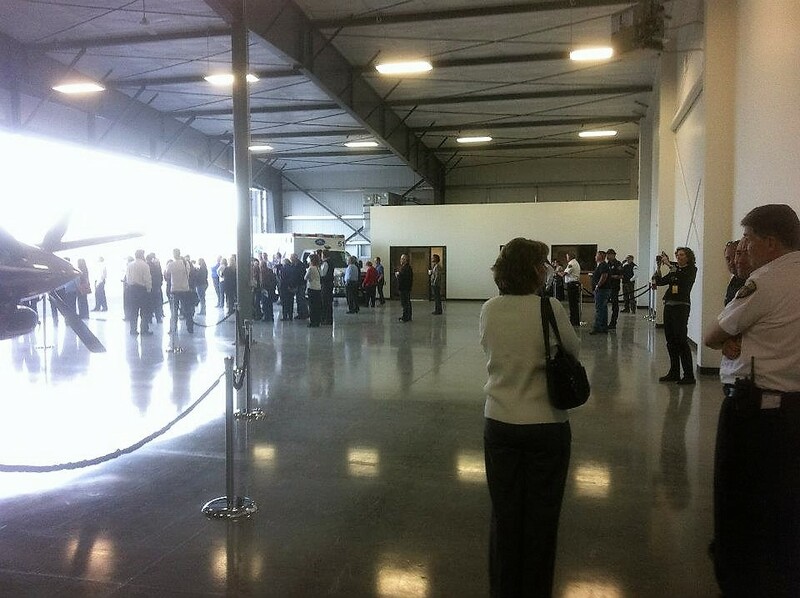 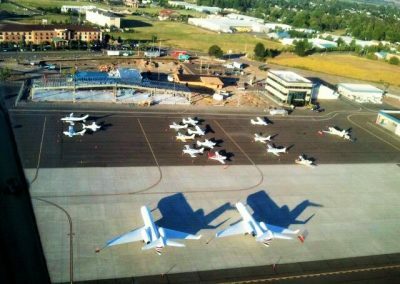 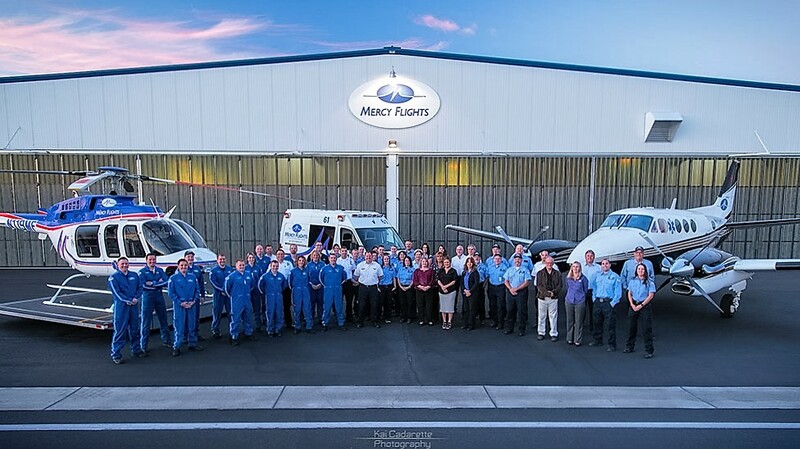 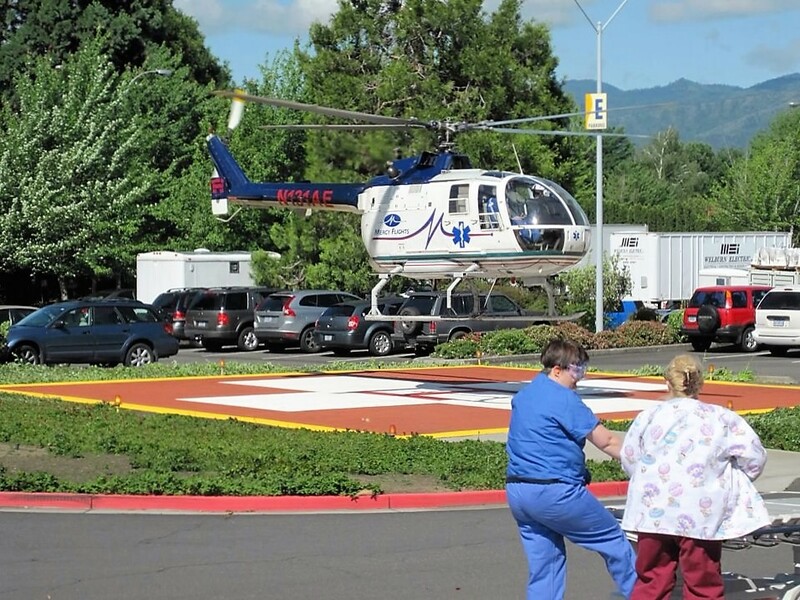 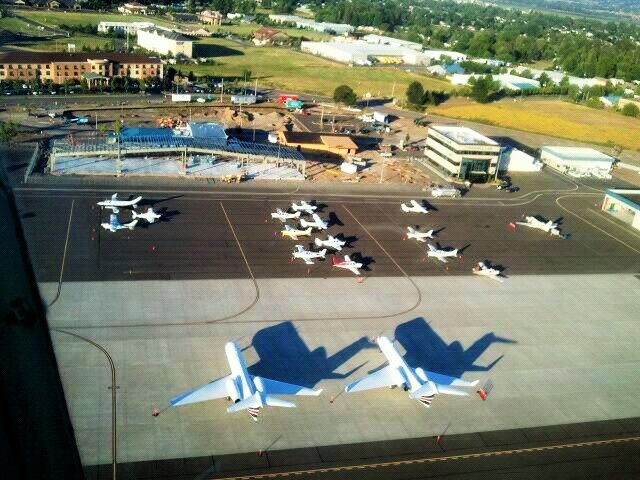 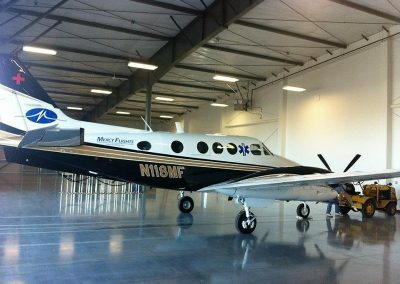 Since this was a complete facility expansion Mercy Flights temporarily relocated to adjacent Hangers at the airport. 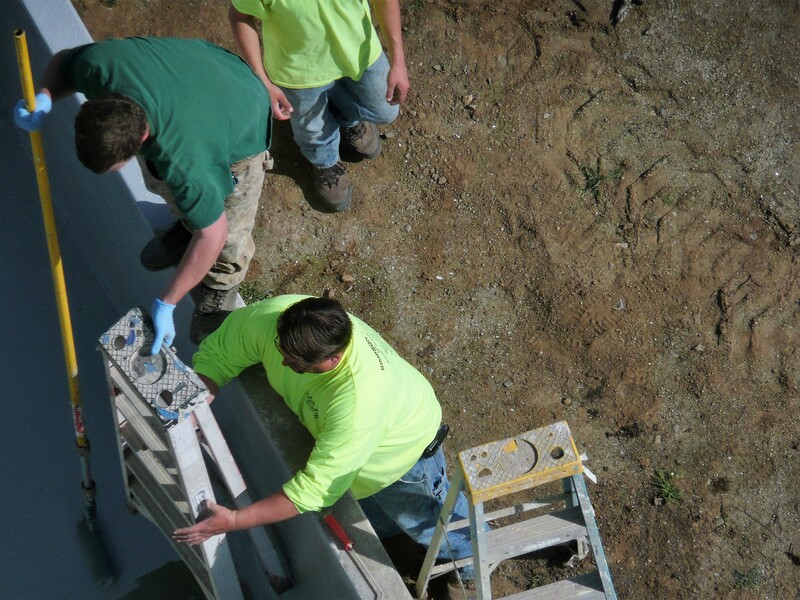 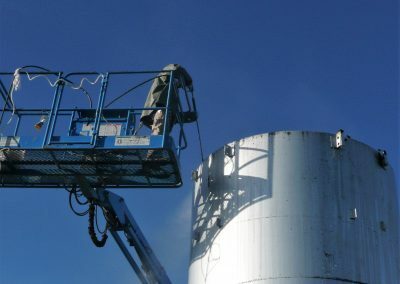 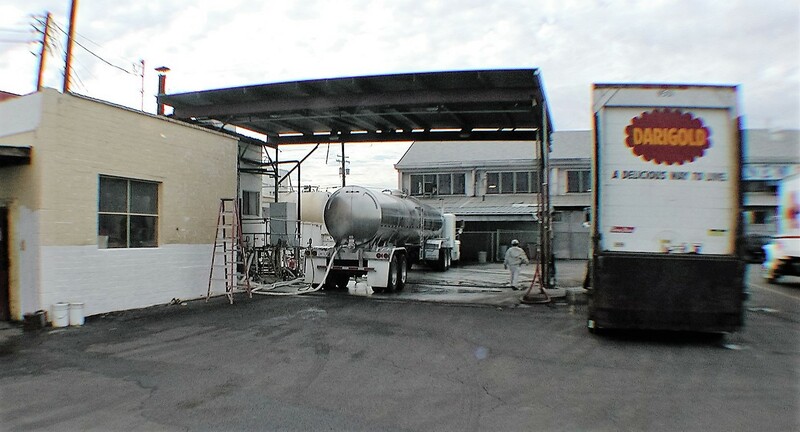 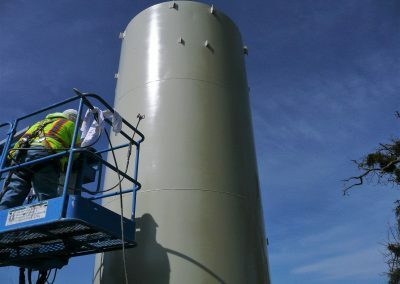 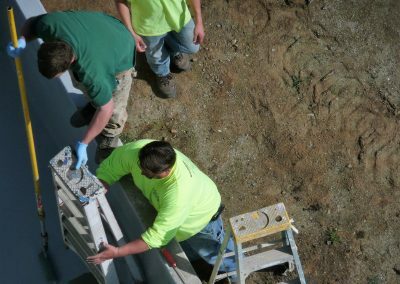 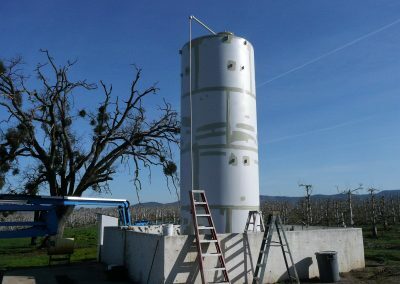 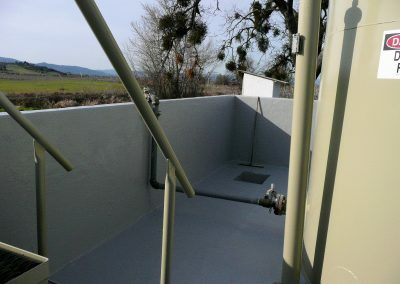 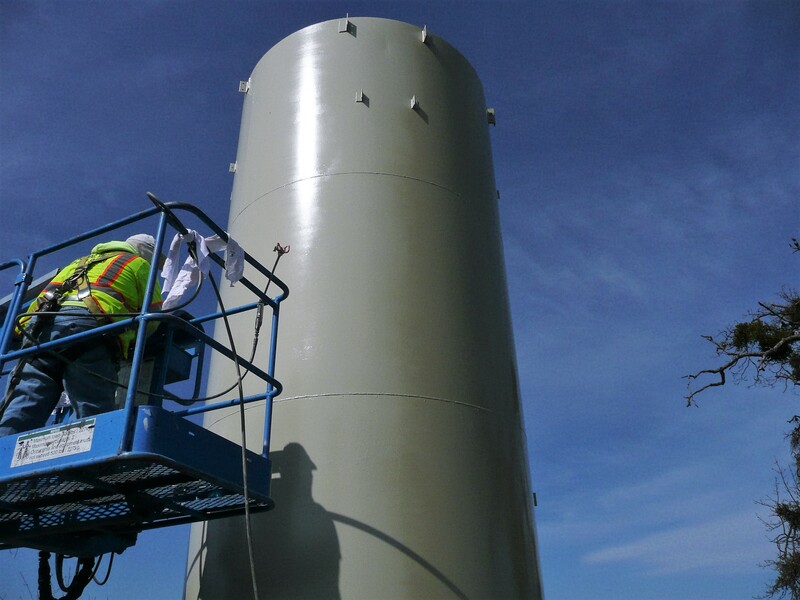 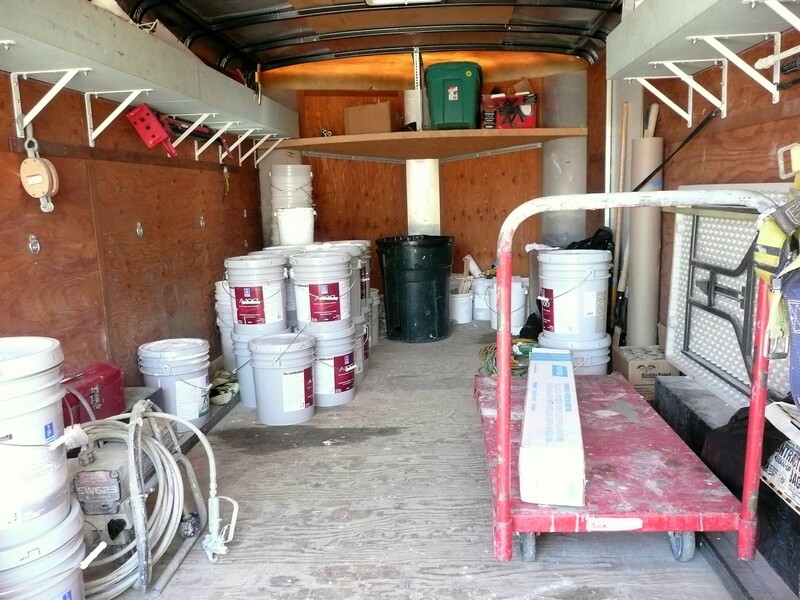 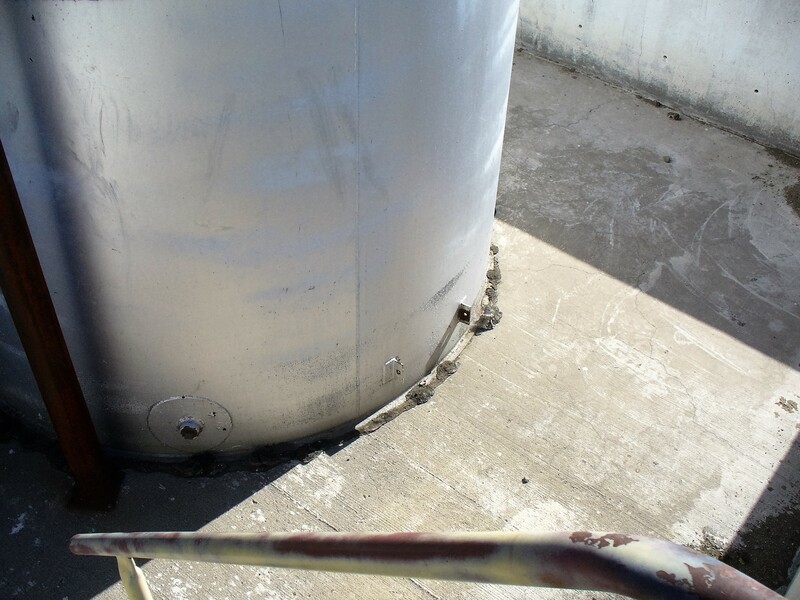 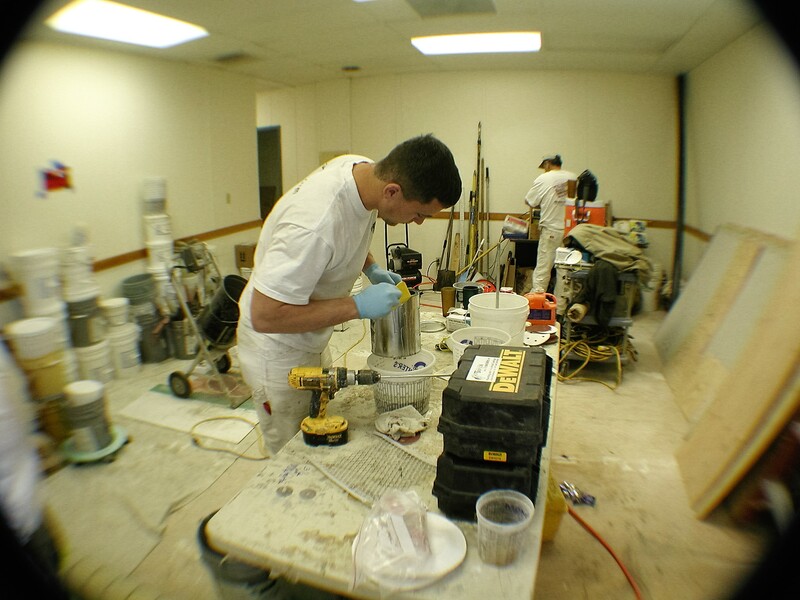 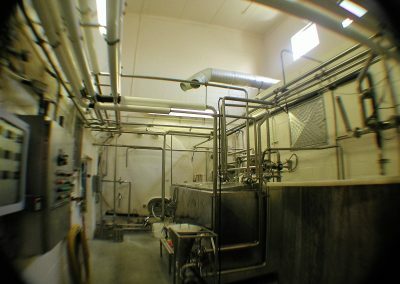 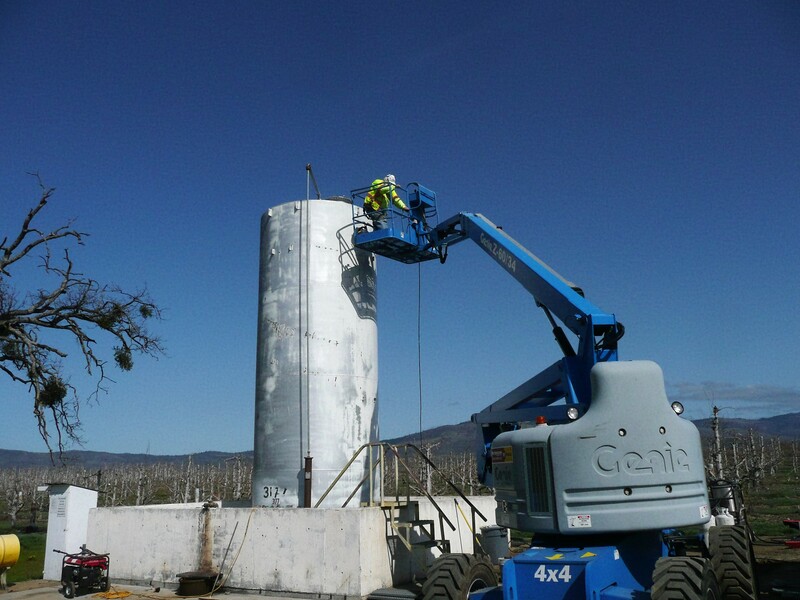 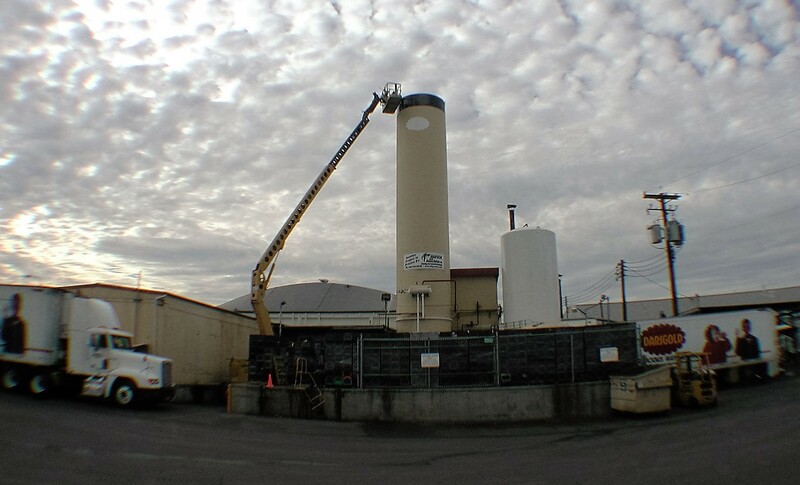 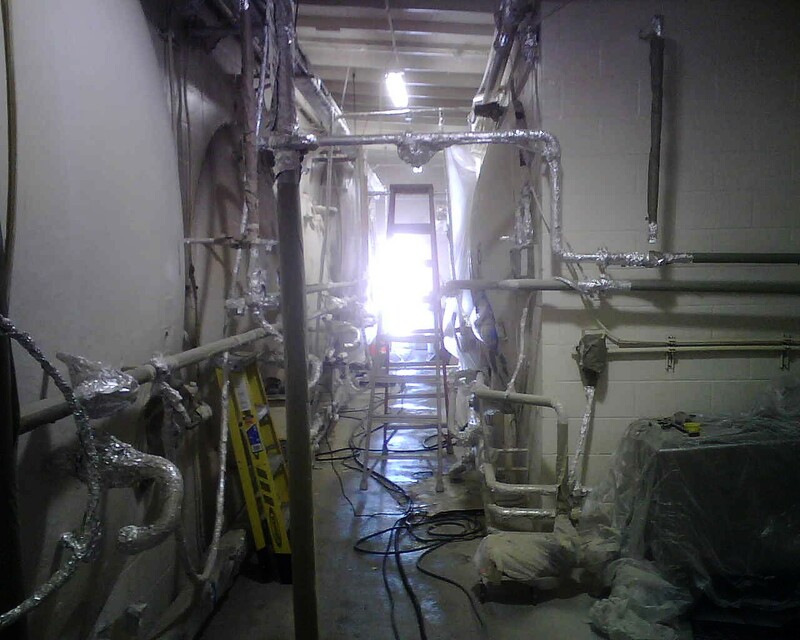 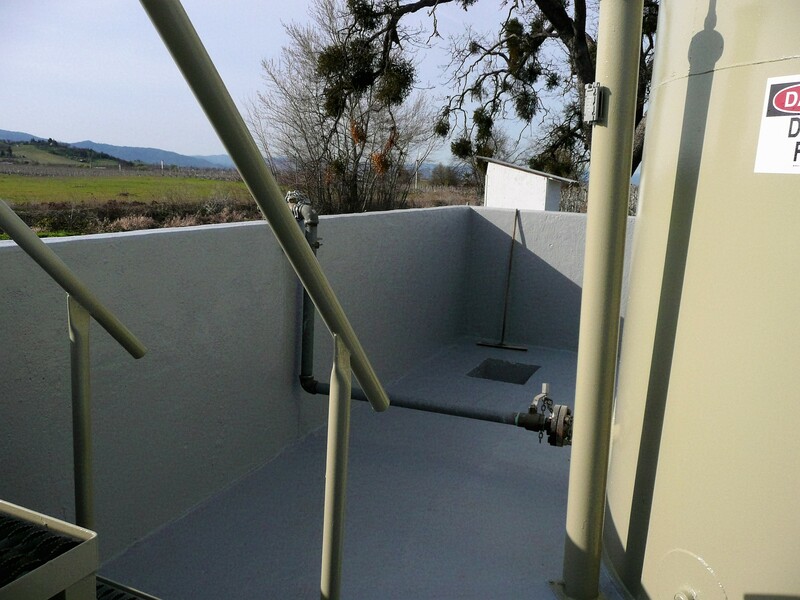 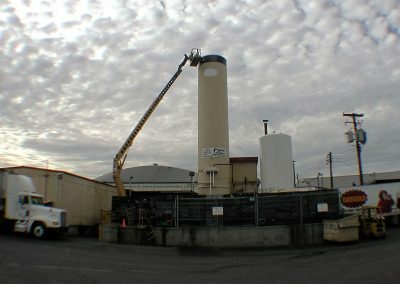 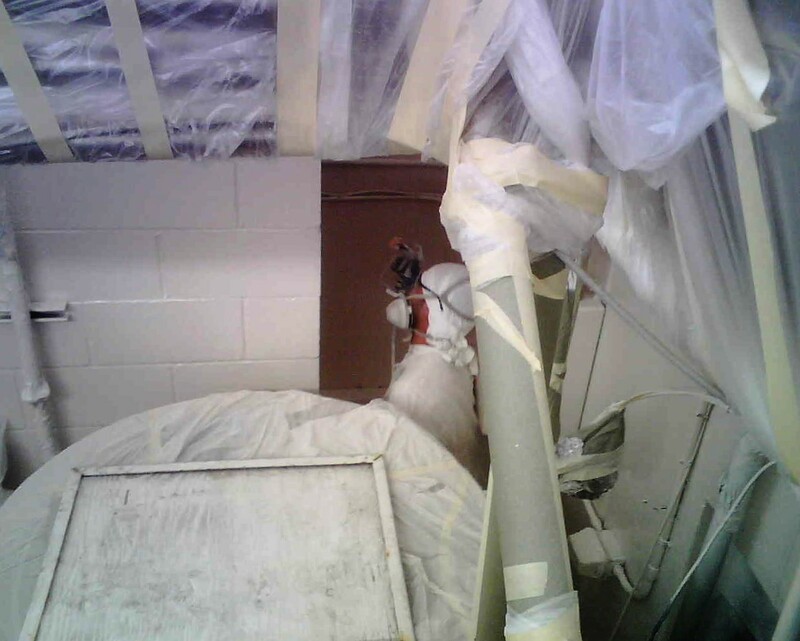 Contractor – Owner Direct This project involved inspecting, budgeting, and completing removal of existing tank interior coatings on two tanks and recoating with NSF approved Potable Water Epoxy. 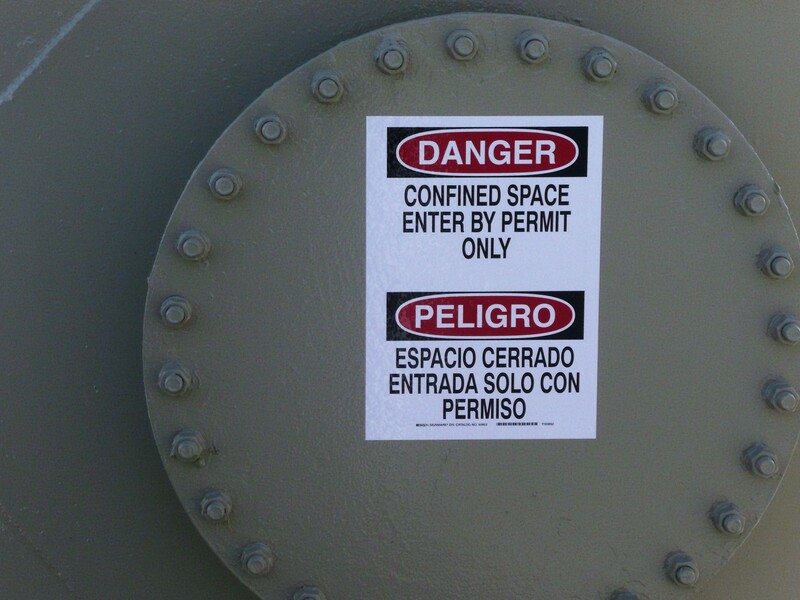 Safety was our first priority working in Confined Spaces with Vessel Watch, Supplied Air and Emergency Procedures a part of our daily routine. 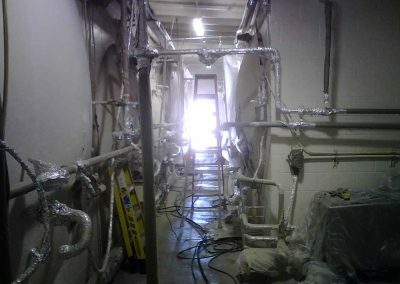 Progress and completion of work was done to (NACE) National Association of Corrosion Engineers Standards and inspected accordingly.